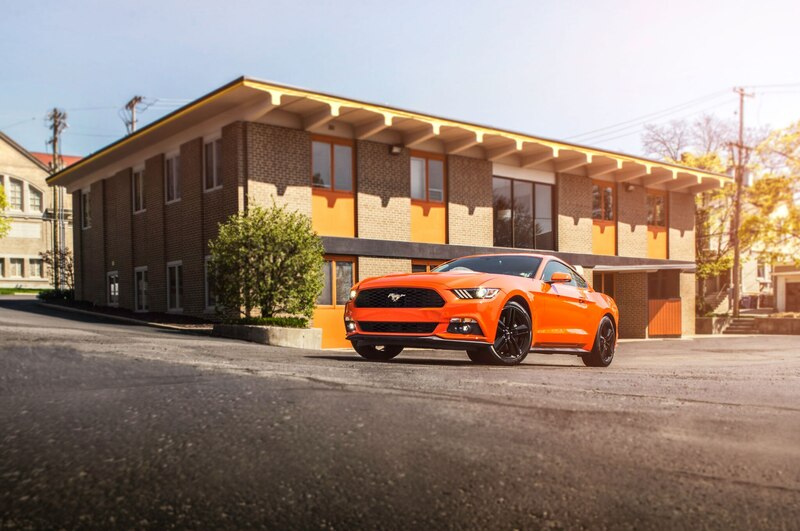 When Ford announced it would offer its new Mustang with a four-cylinder turbocharged engine for the first time since the mid-’80s, it struck some as a curious move given that things didn’t go so well back then — the Mustang SVO was unceremoniously dumped after just three years on the market. 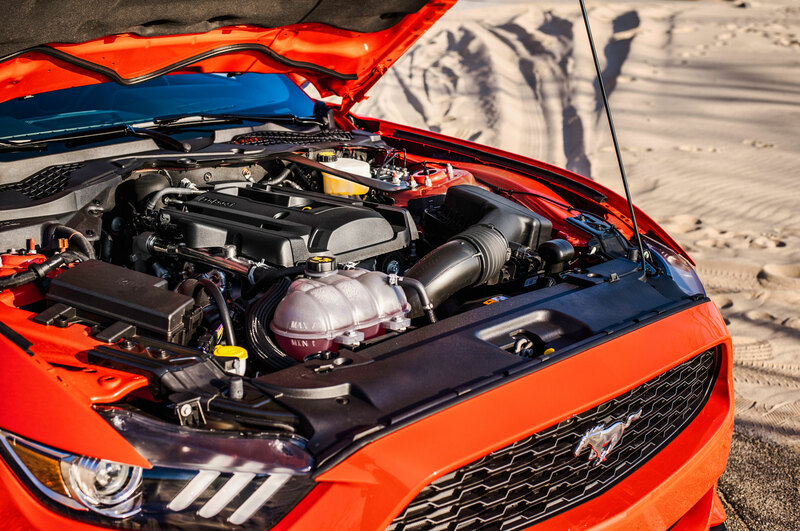 While there are those who believe the controversial SVO was ahead of its turbo time, most agree it was a misstep. 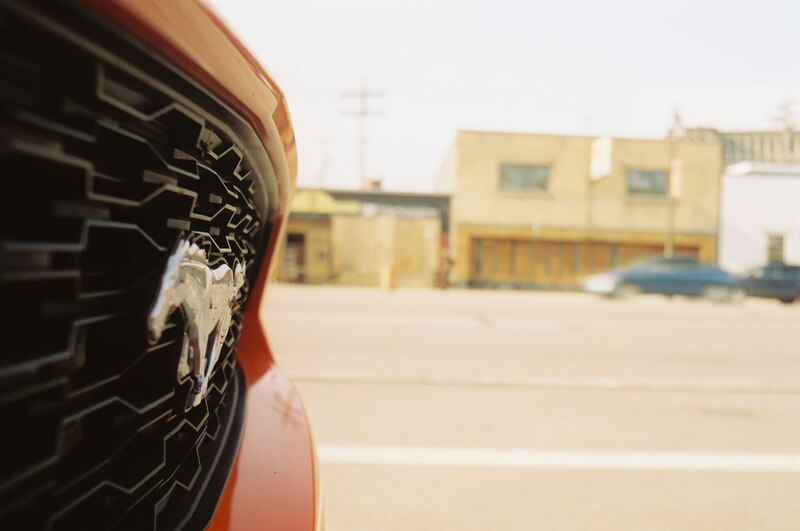 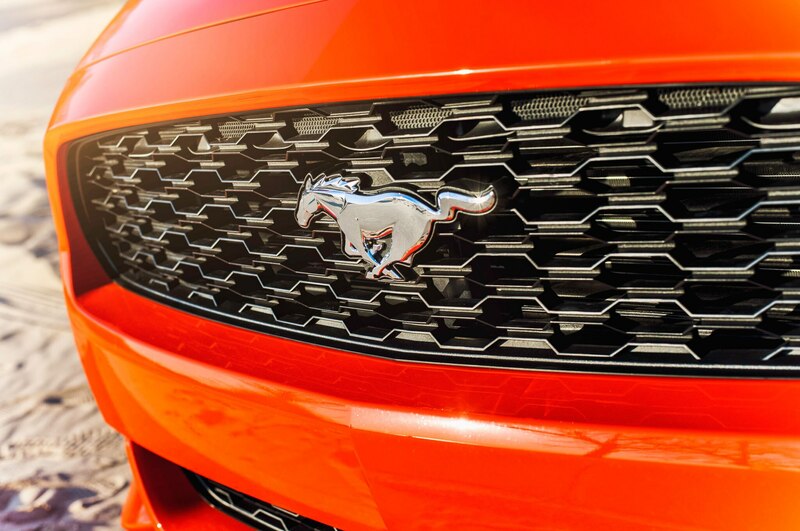 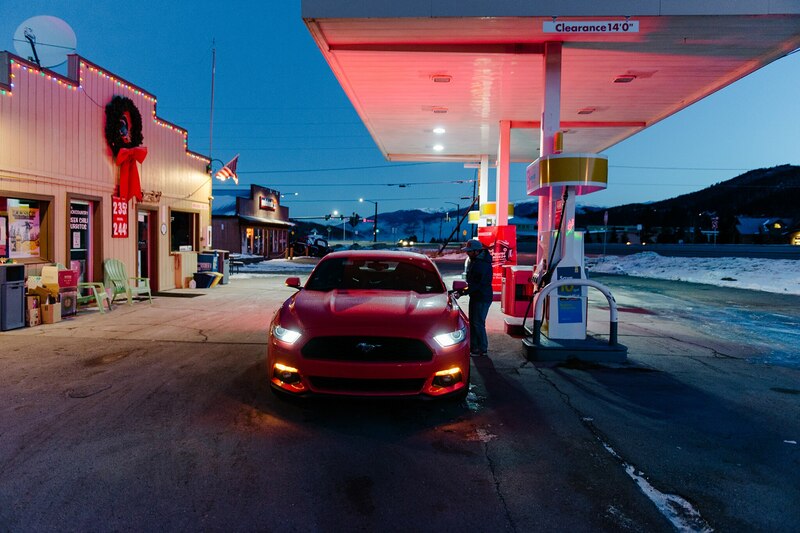 So is the world finally ready for a fuel-efficient, turbocharged Mustang? 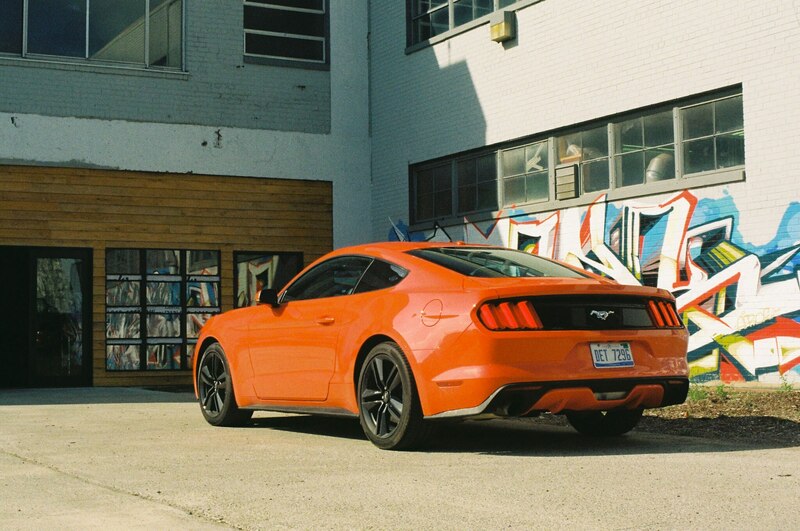 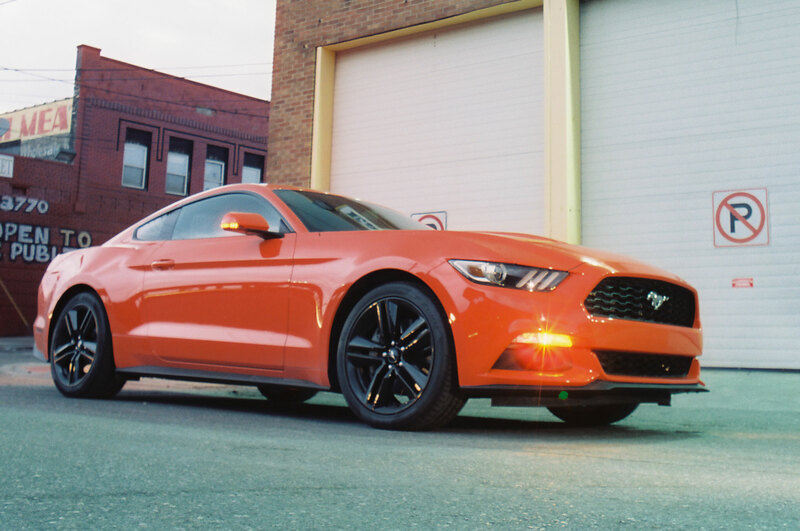 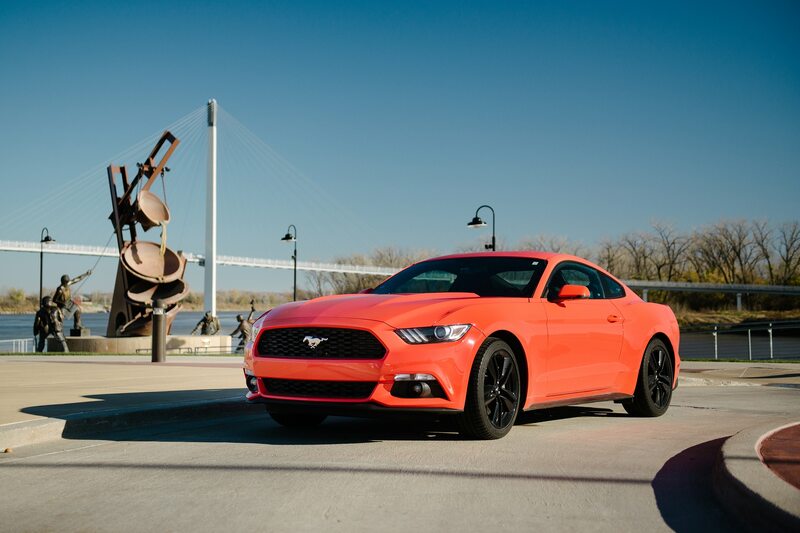 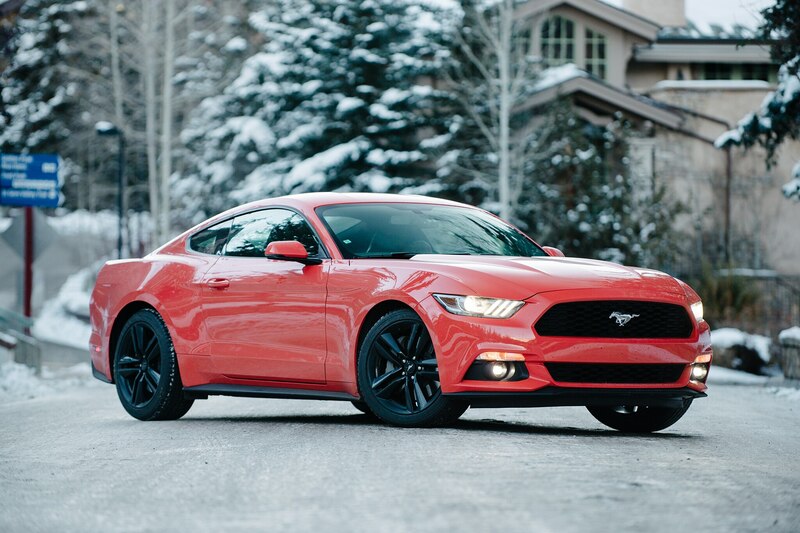 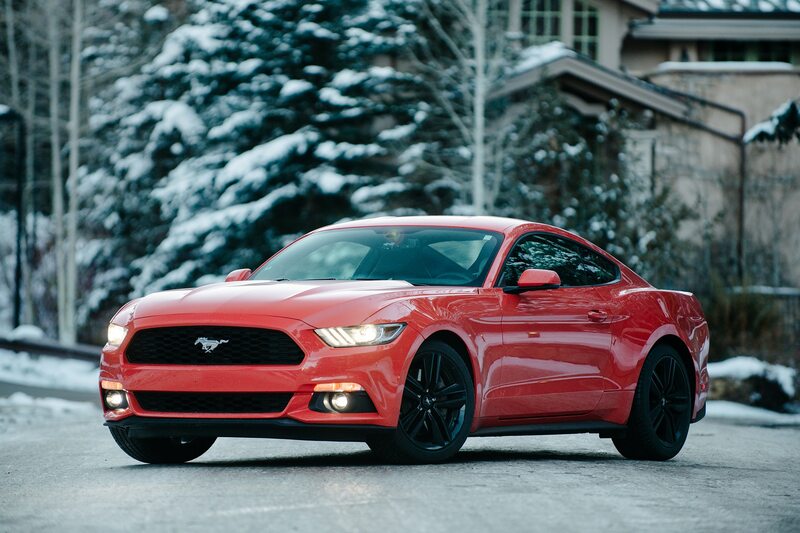 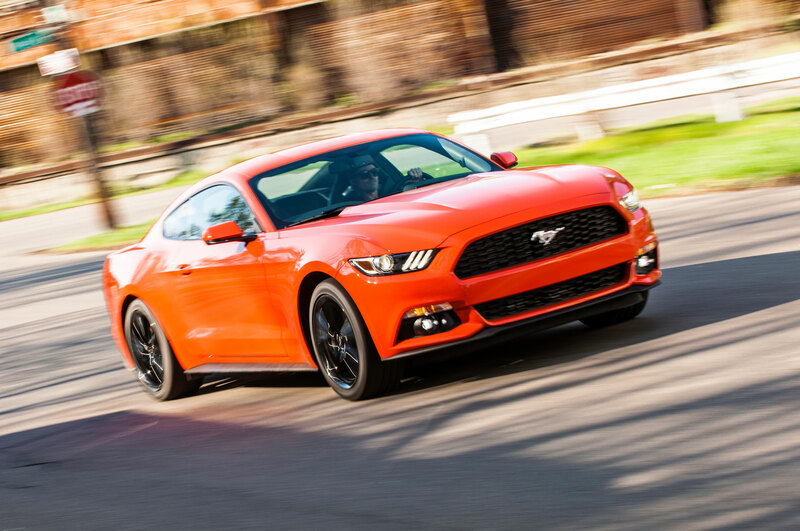 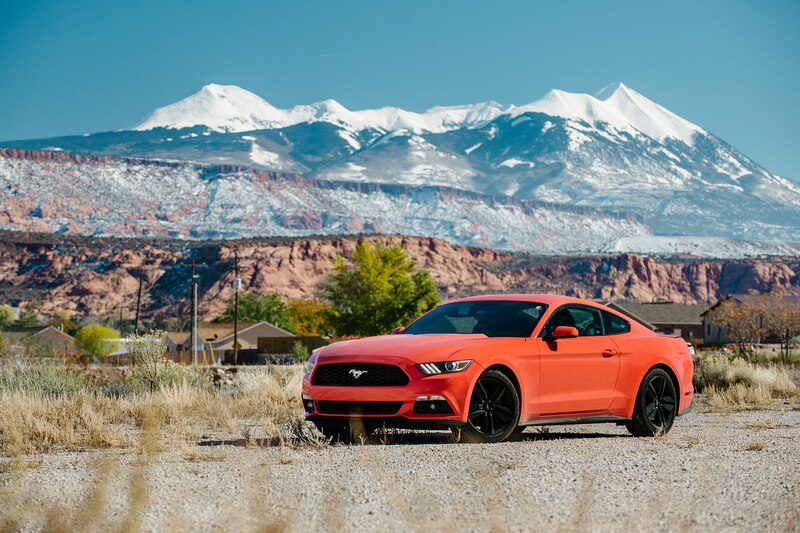 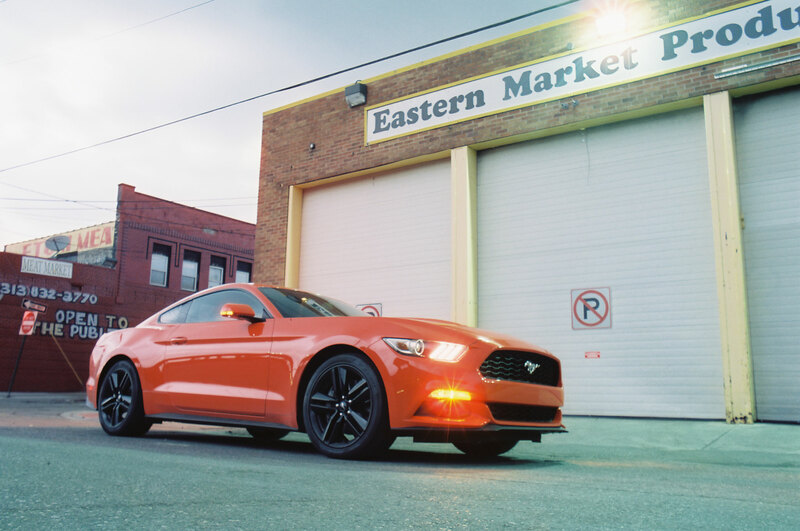 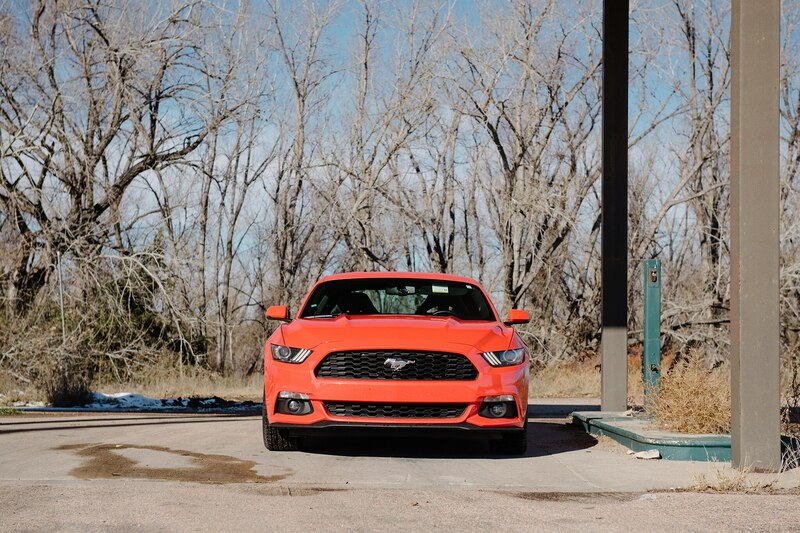 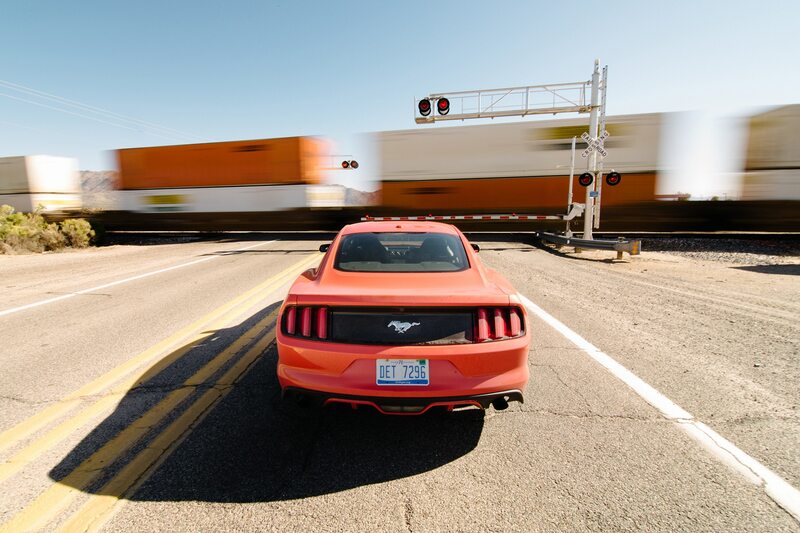 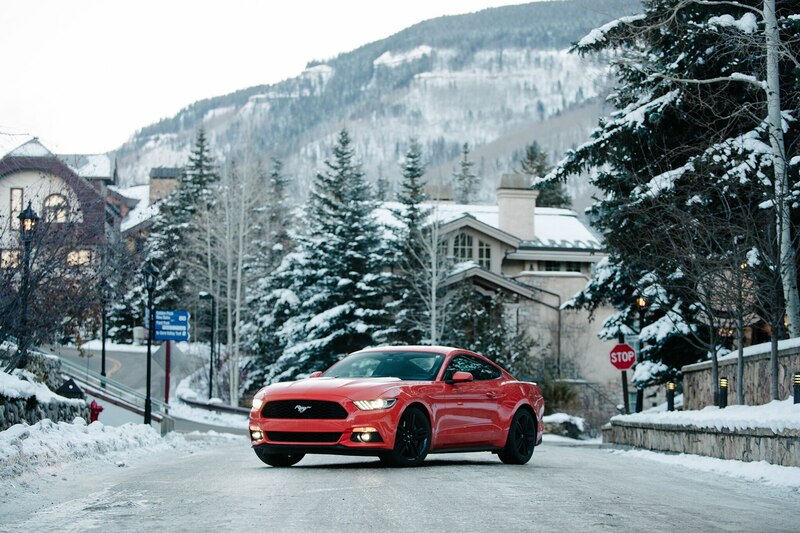 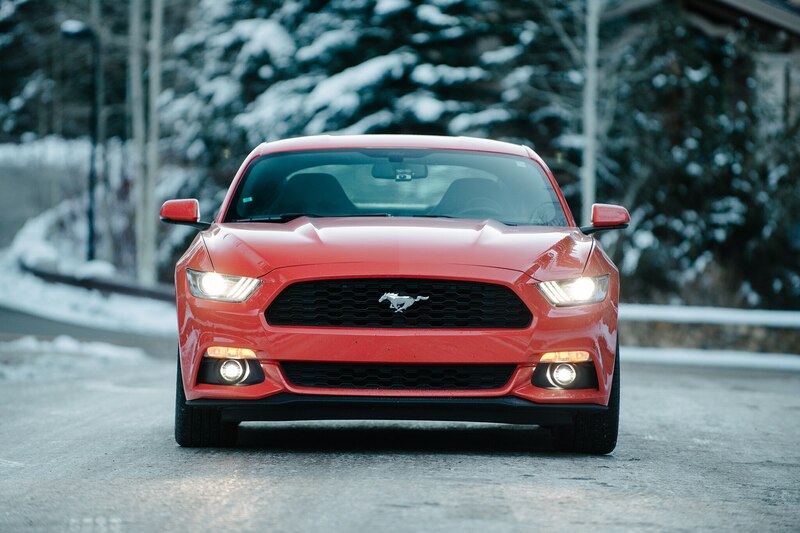 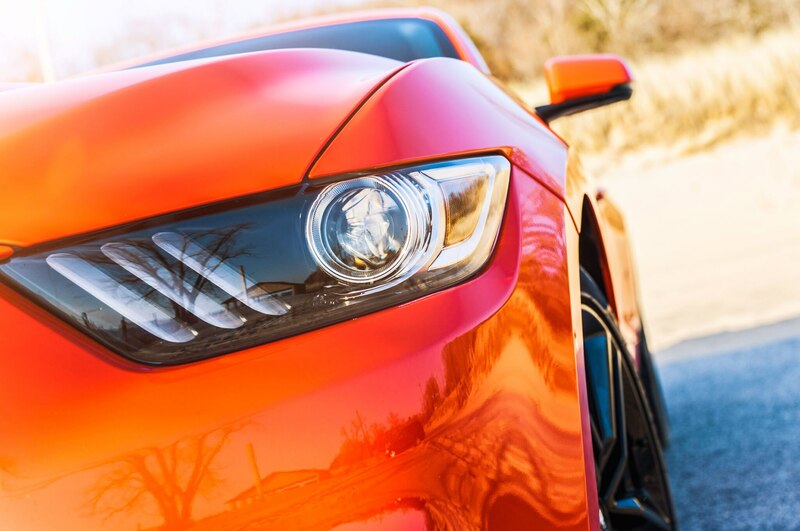 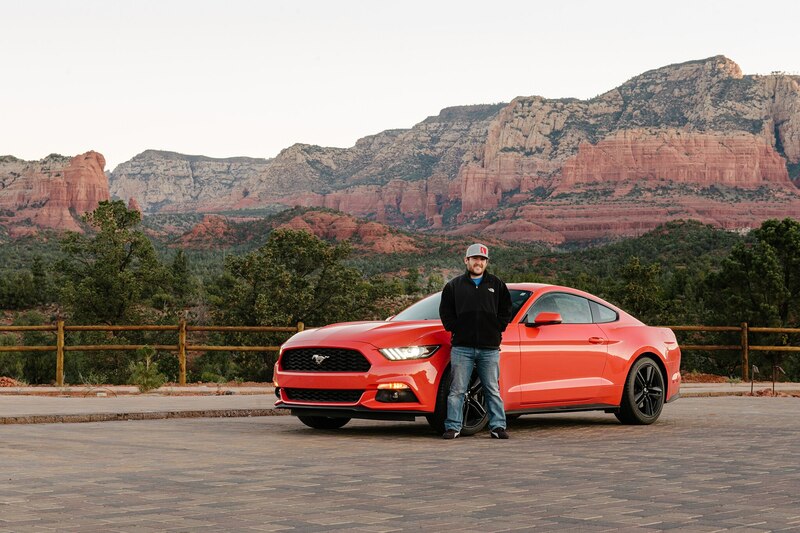 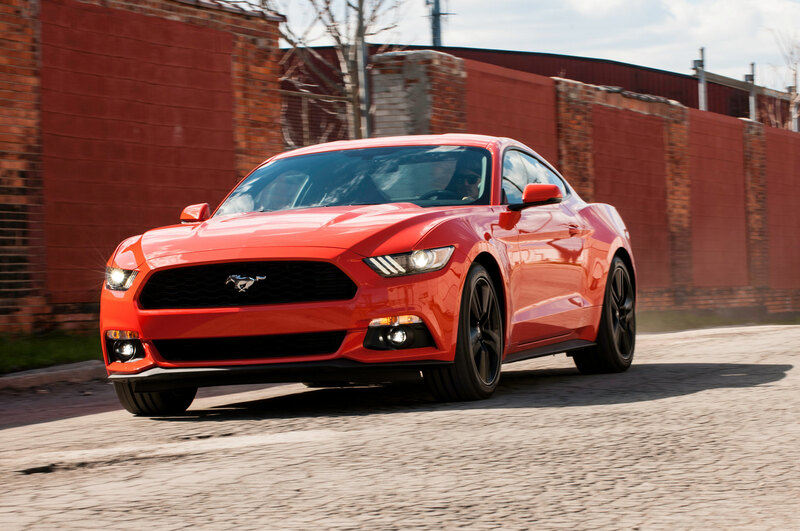 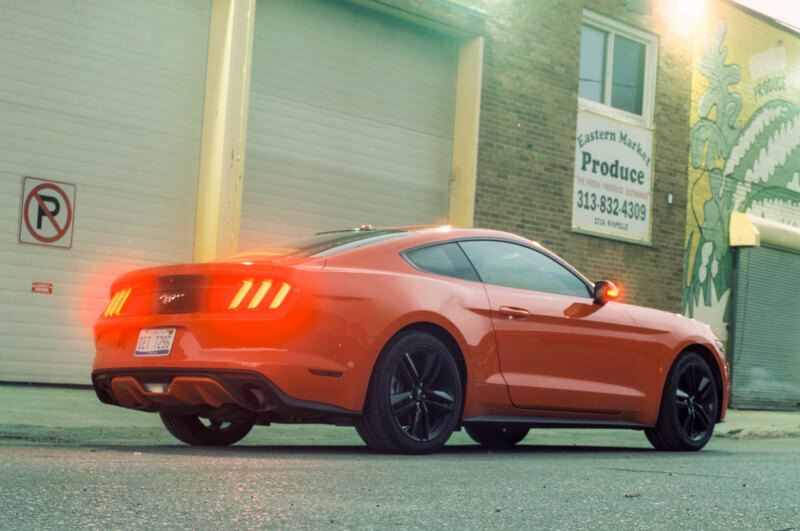 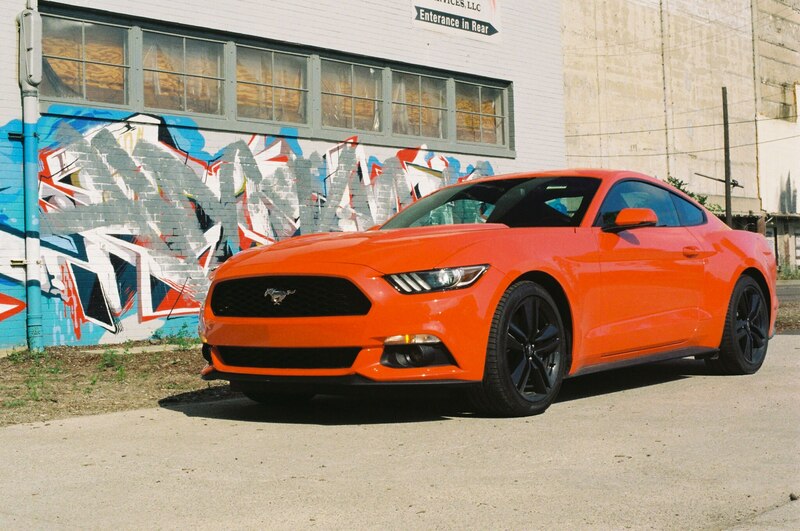 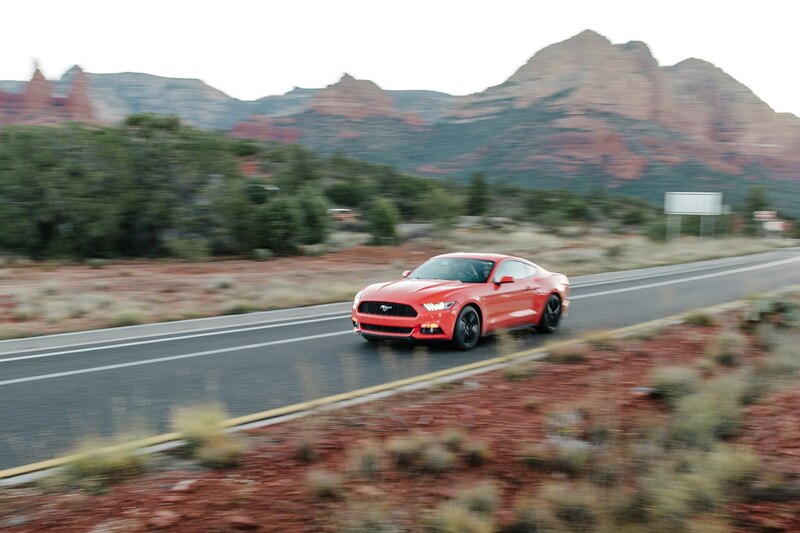 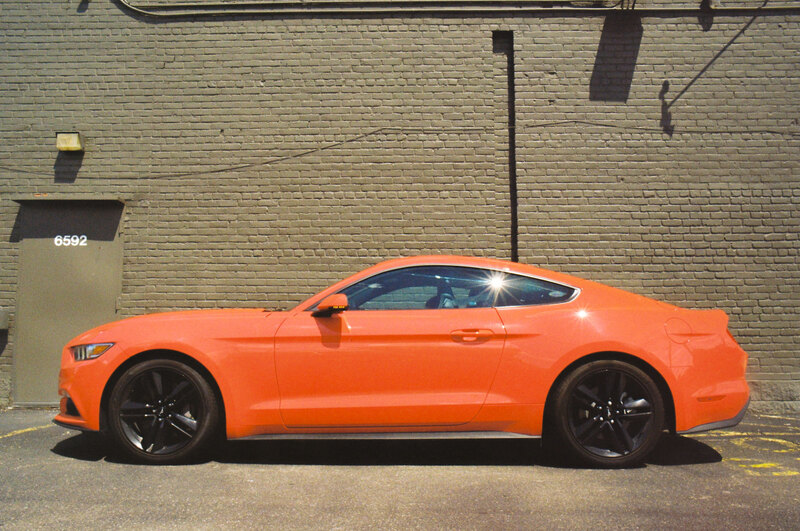 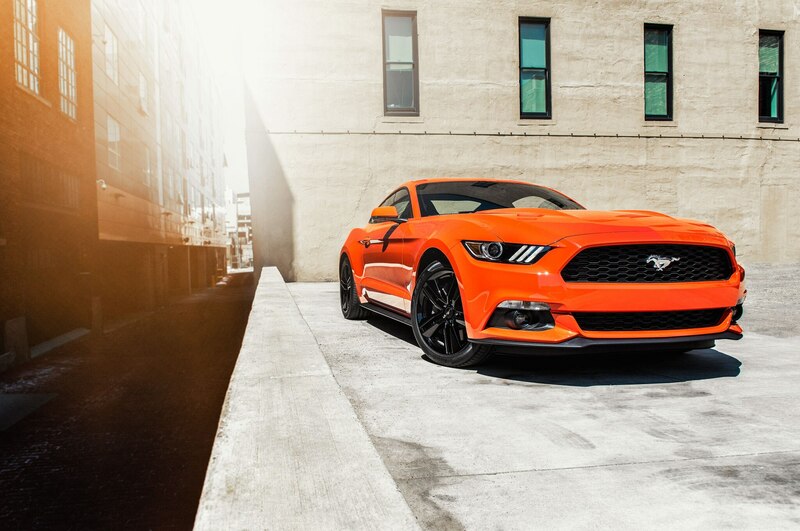 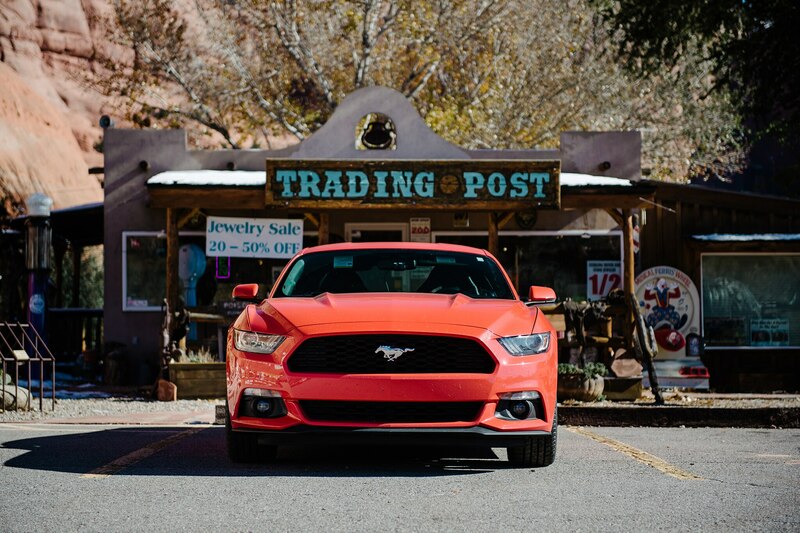 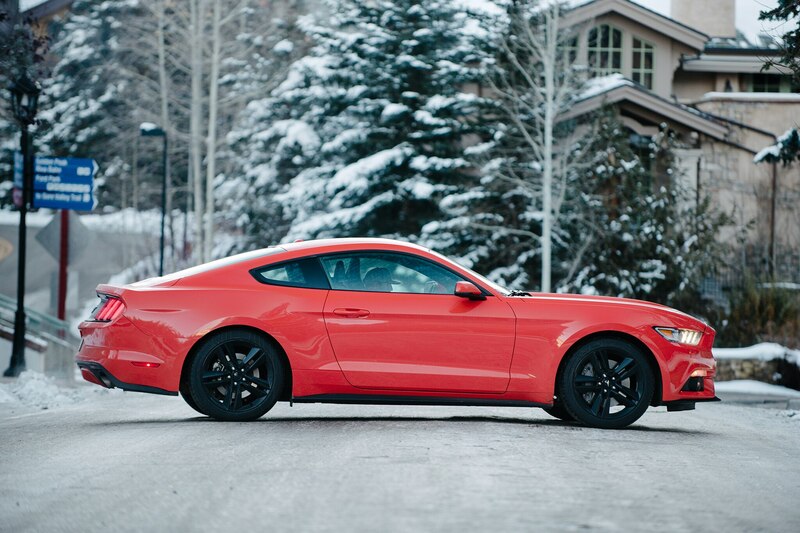 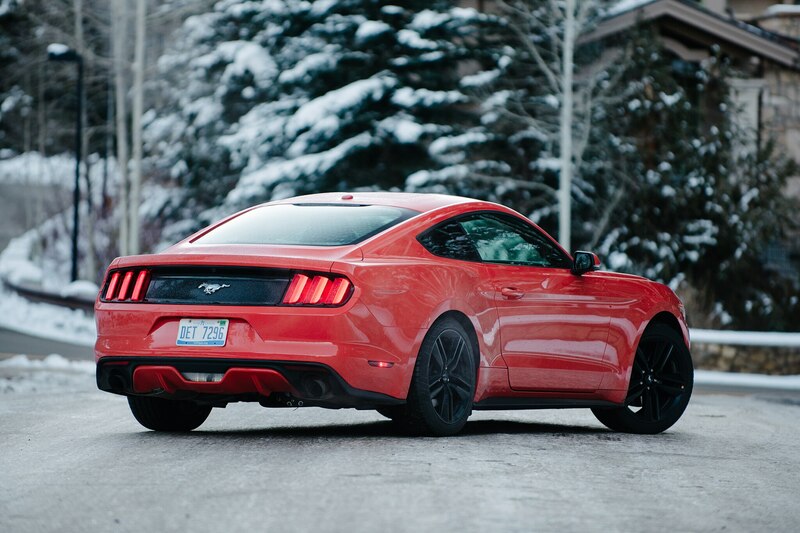 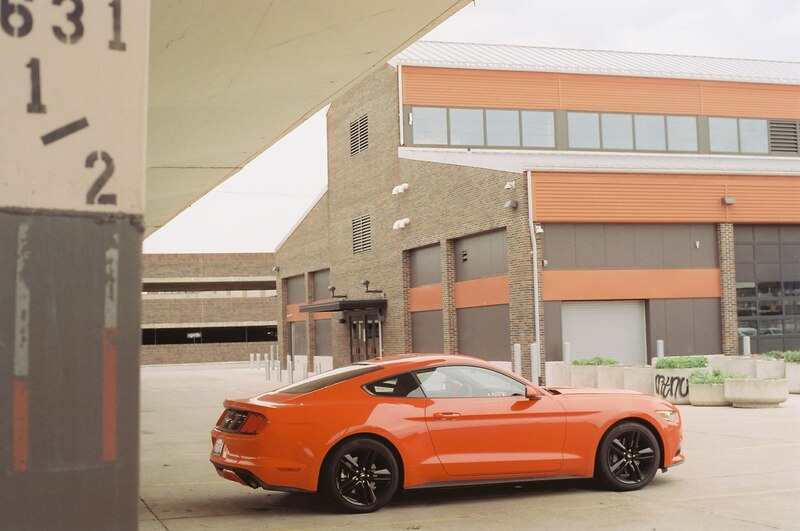 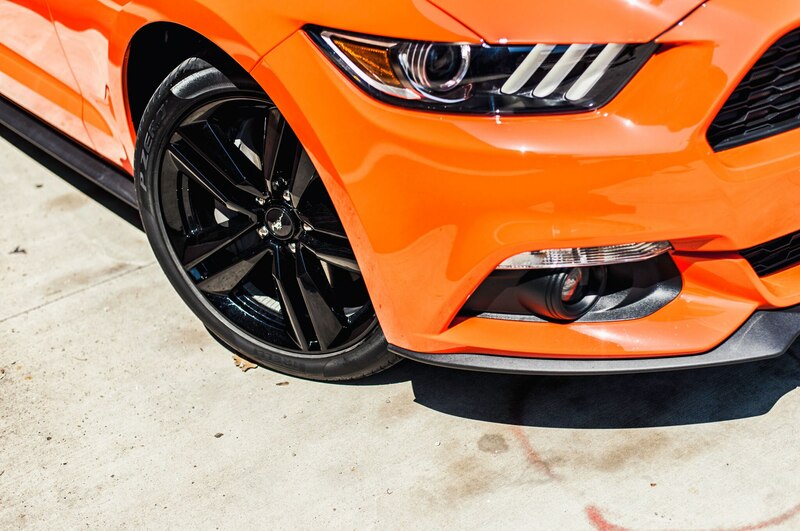 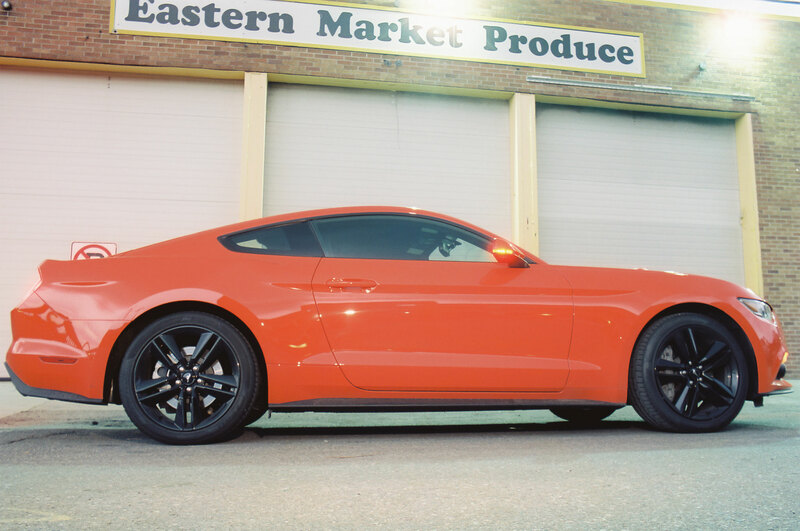 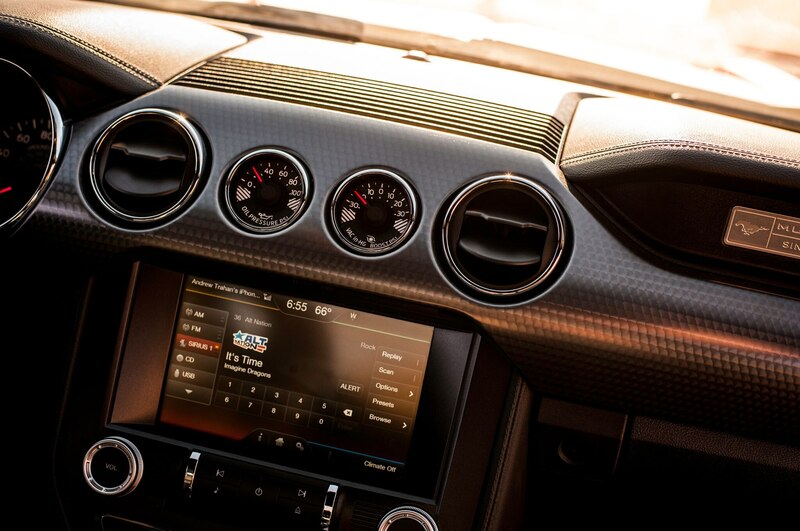 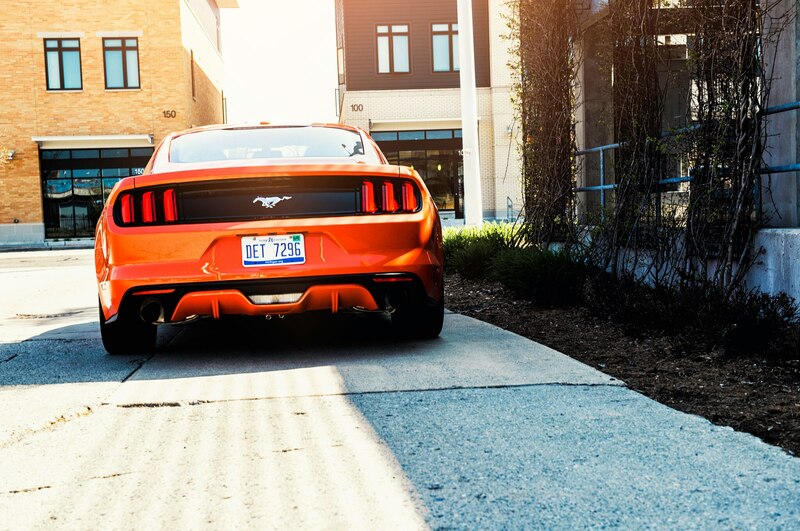 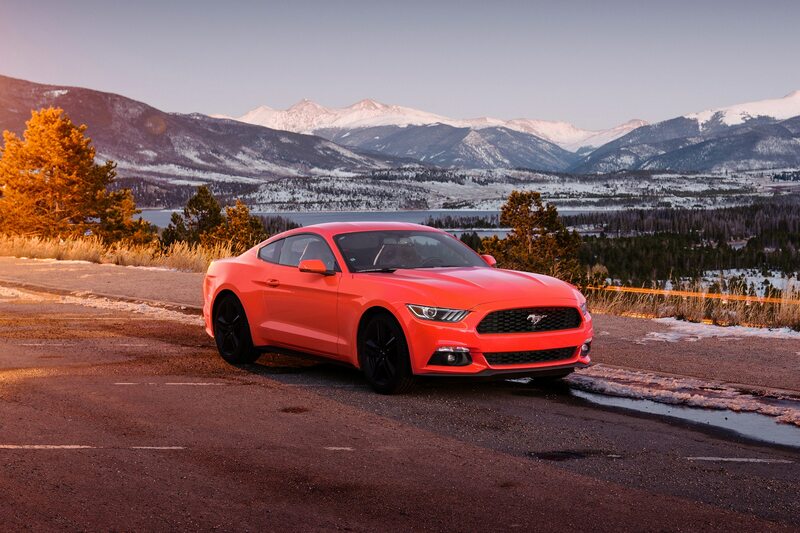 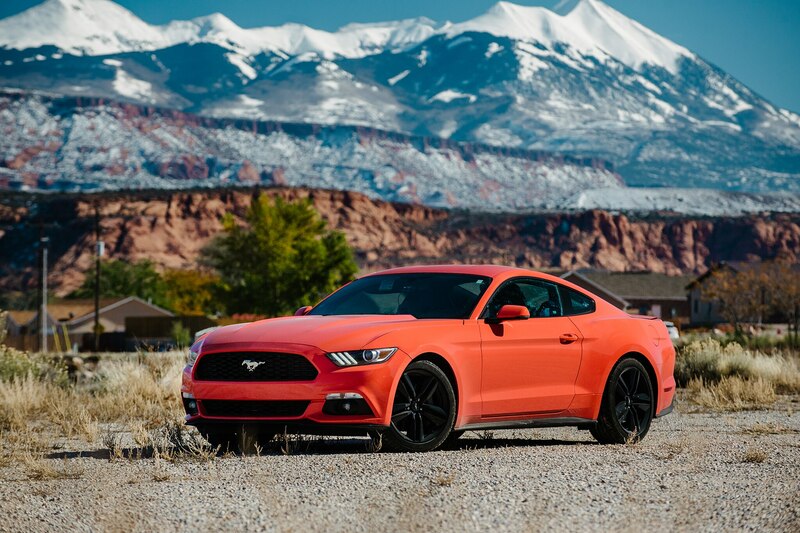 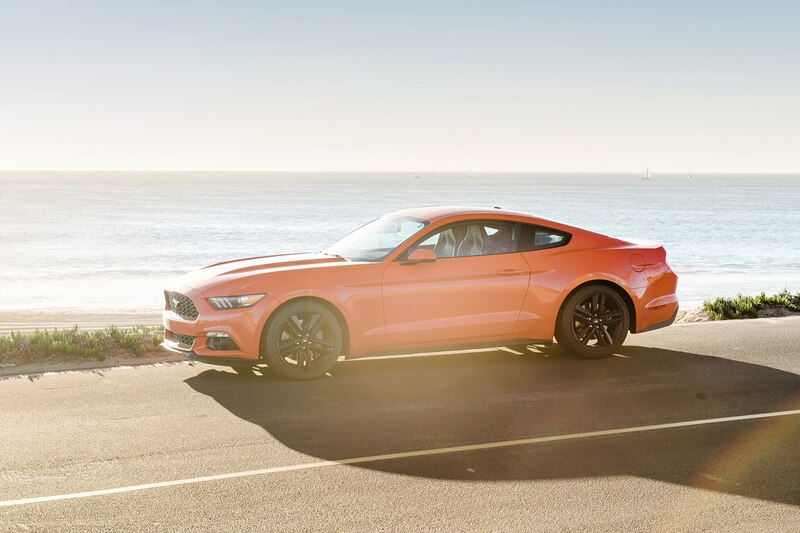 We wanted to find out, so we ordered up a 2015 Mustang EcoBoost to join our Four Seasons fleet. 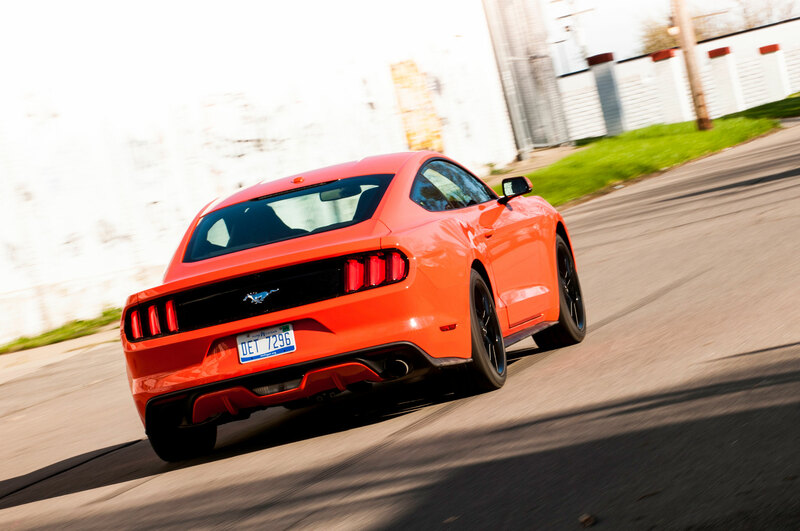 Hellish Michigan roads left us with a flat tire and a scraped wheel early on in testing. 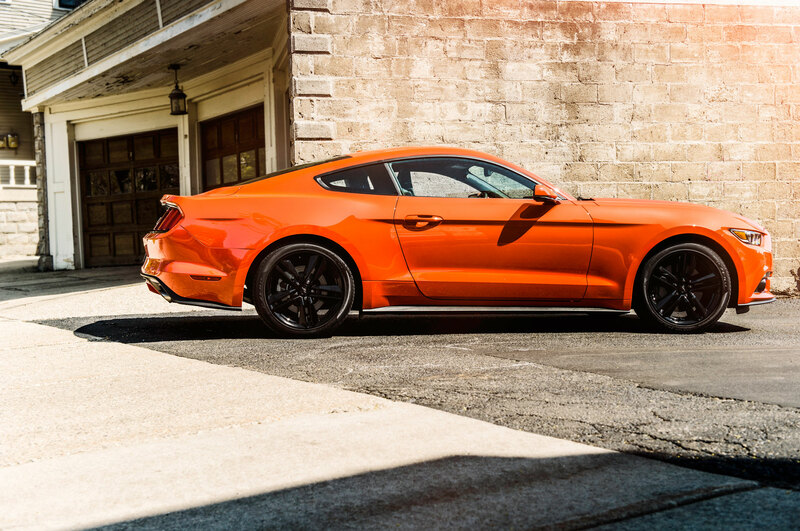 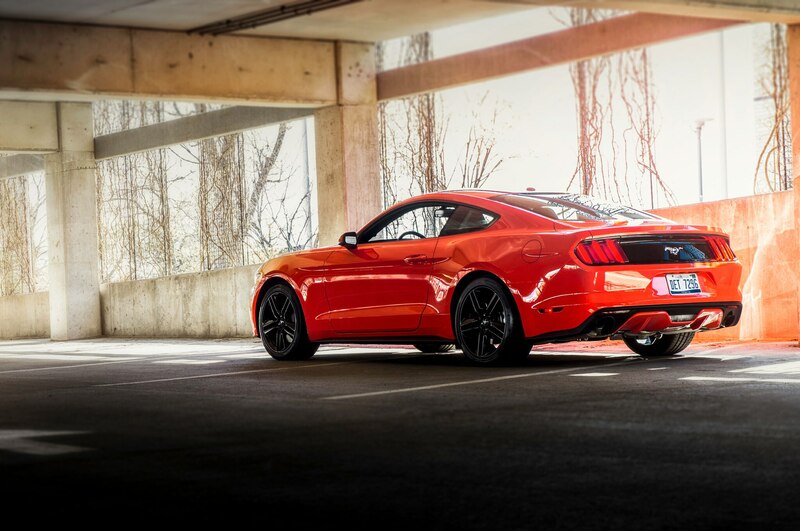 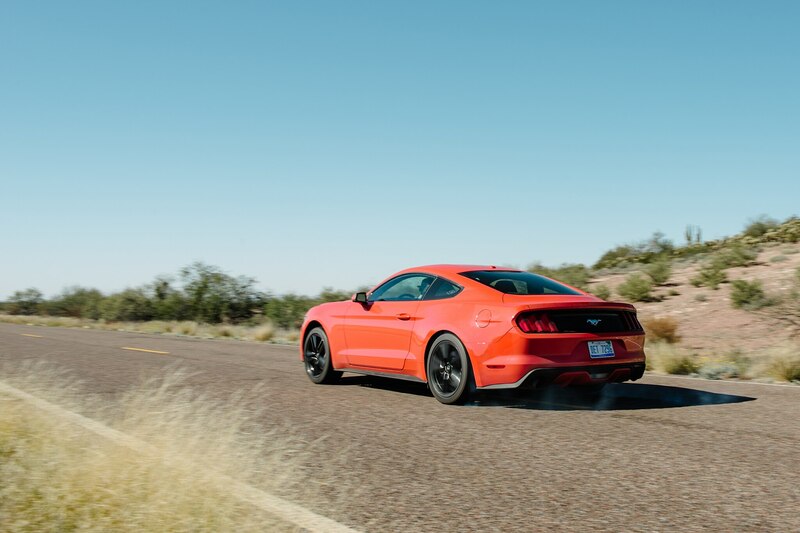 “This EcoBoost looks like a GT from every angle,” said daily news editor Conner Golden. 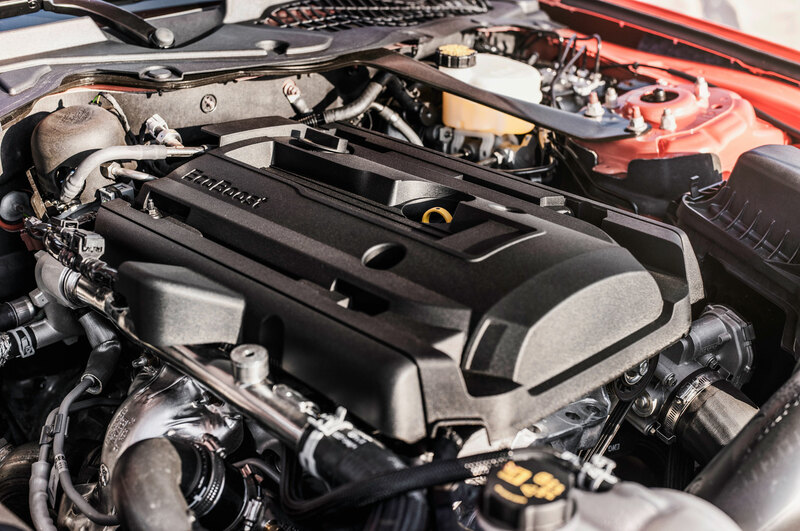 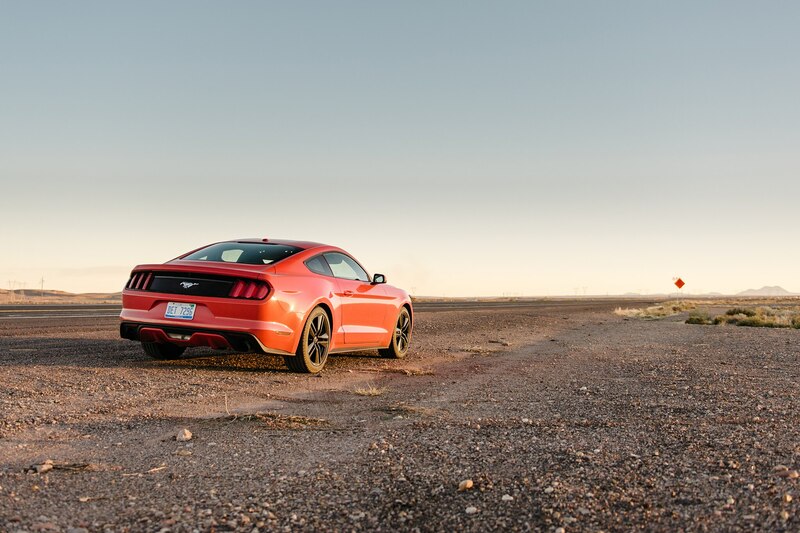 “Can hardly fill up the gas tank without people asking me how I like the V-8, and then I have to let them down easy.” Editor complaints about the EcoBoost engine were numerous, most of them centering on the four-cylinder’s bland and toothless engine note. 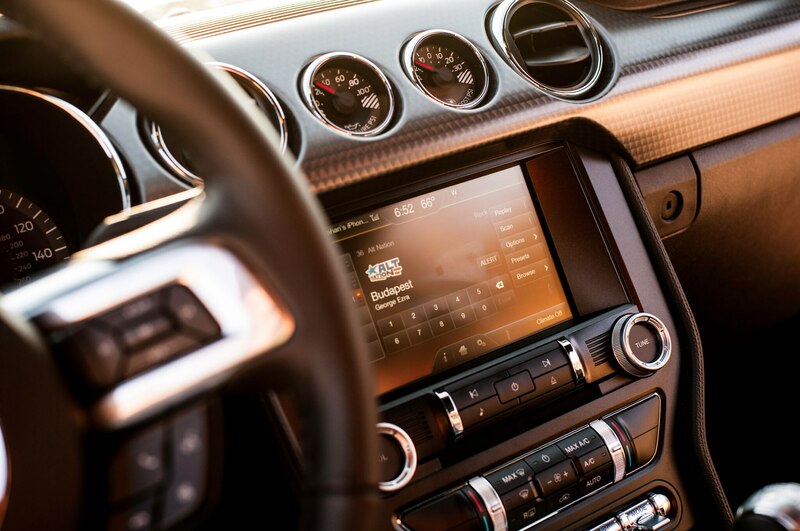 “Sounds just terrible,” said executive editor Mac Morrison. 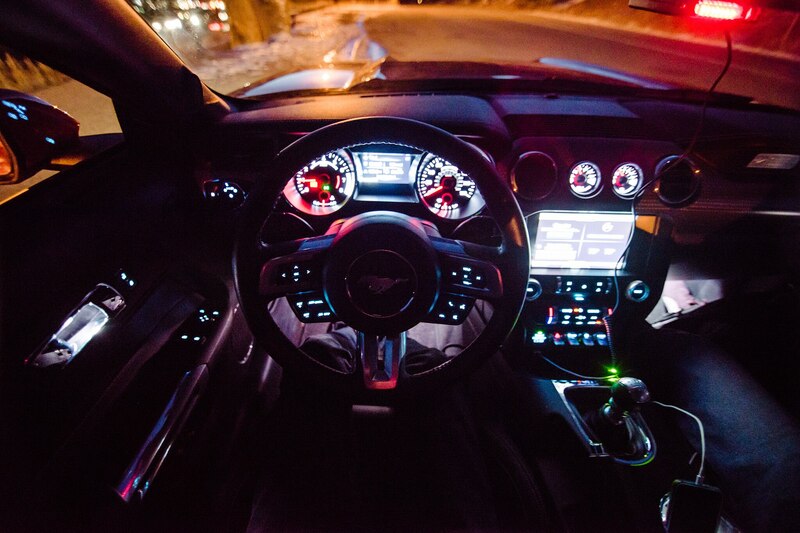 “There’s all kind of gear whine and induction noise. 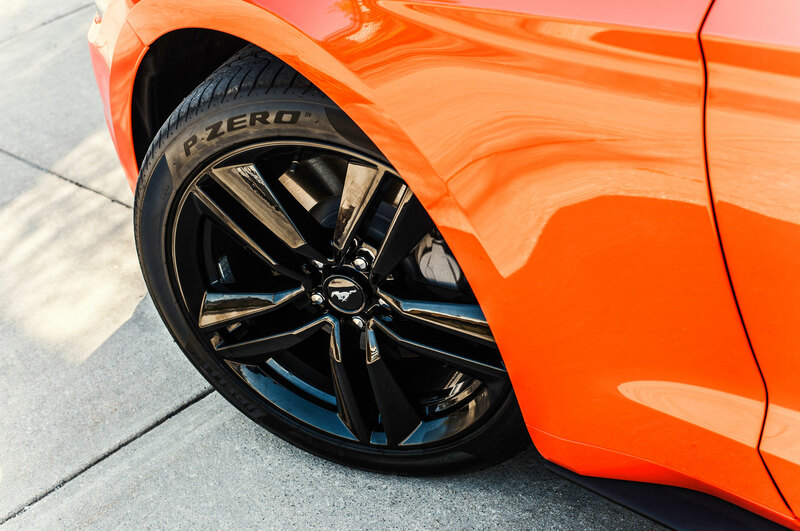 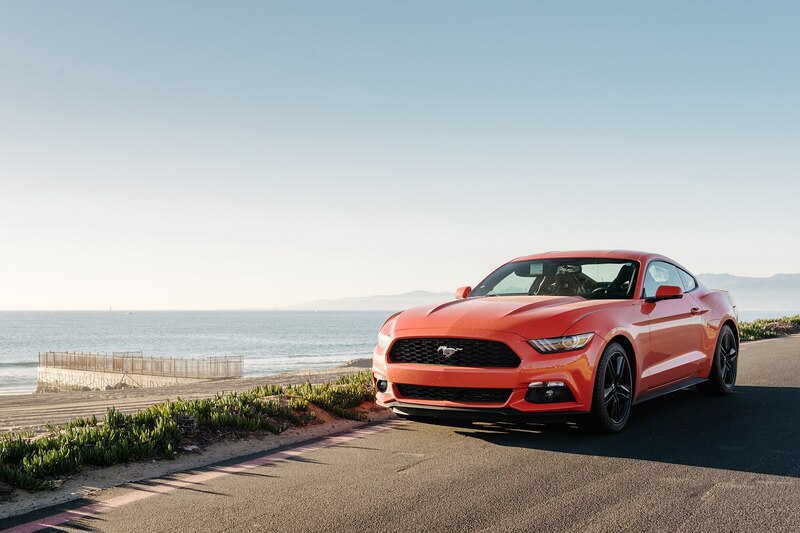 Too utilitarian for a sports car.” Editors echoed those sentiments over and over, even as more practical niggles about the EcoBoost started to surface; “wheezy,” “clunky,” “buzzy,” and “lazy” would make great understudy Disney dwarves instead of engine traits. 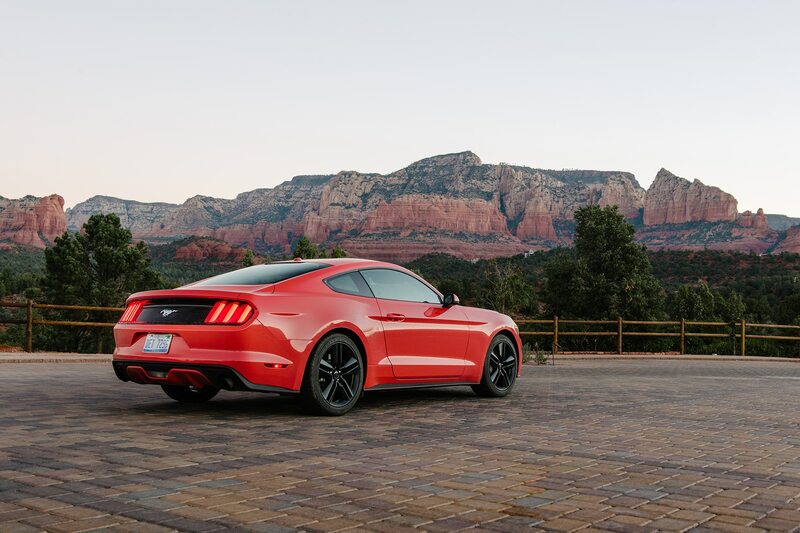 The turbocharger alights at 3,000 rpm when the 2.3-liter EcoBoost’s 320 lb-ft of torque kicks in, but it can be a real slog getting there, especially in regular traffic. 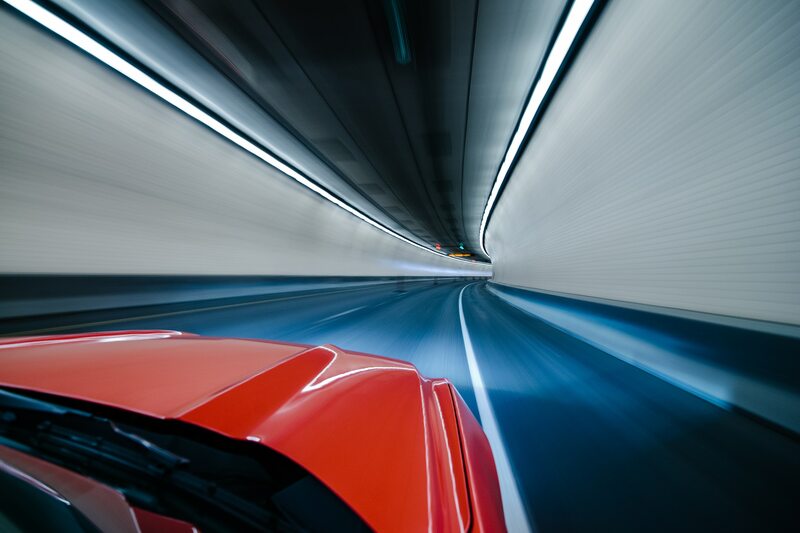 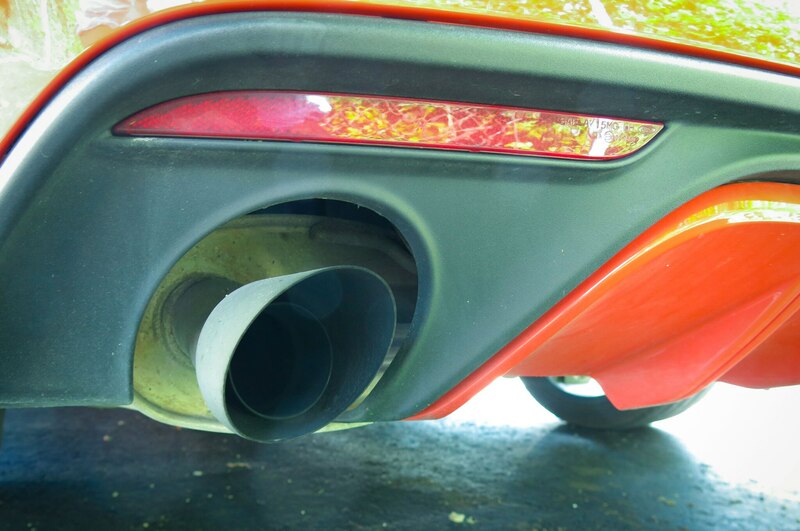 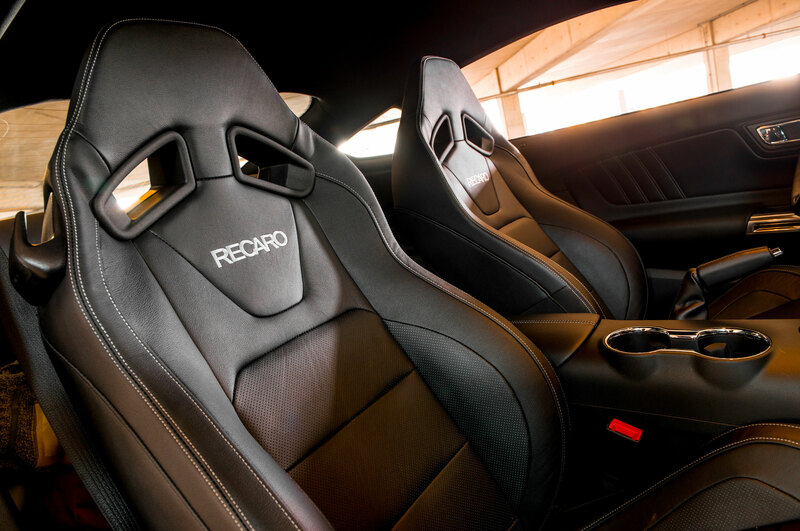 And if you do have room to let loose, boost subsides by the middle of the rev range, so there’s little muscle to chase toward its 6,600 rpm redline. 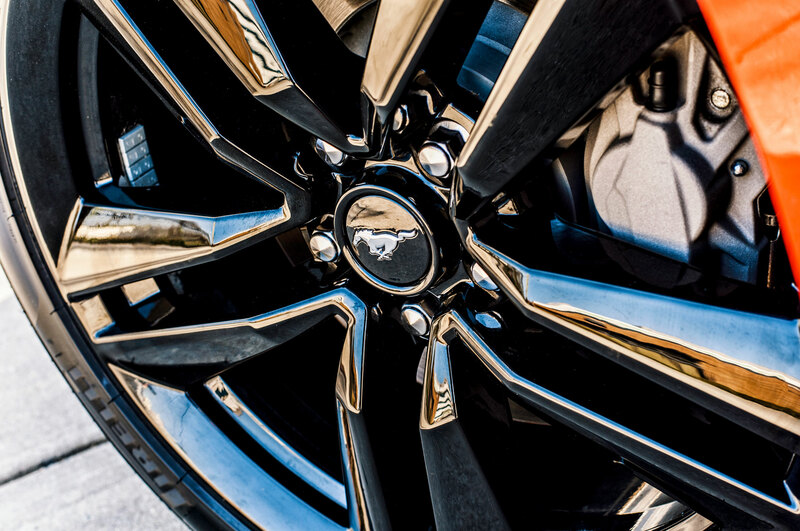 About those brakes. 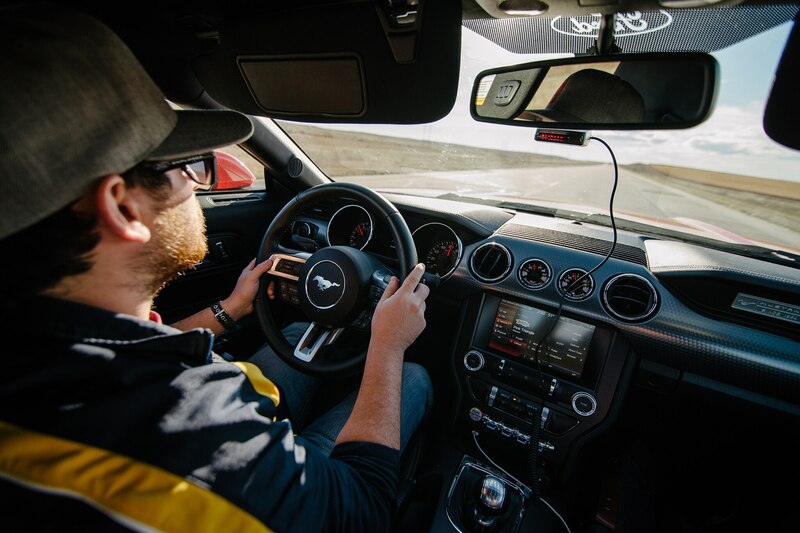 We should’ve replaced the worn pads before our second track day, but we didn’t and ended up paying the price: a whopping $1,814.26, to be precise. 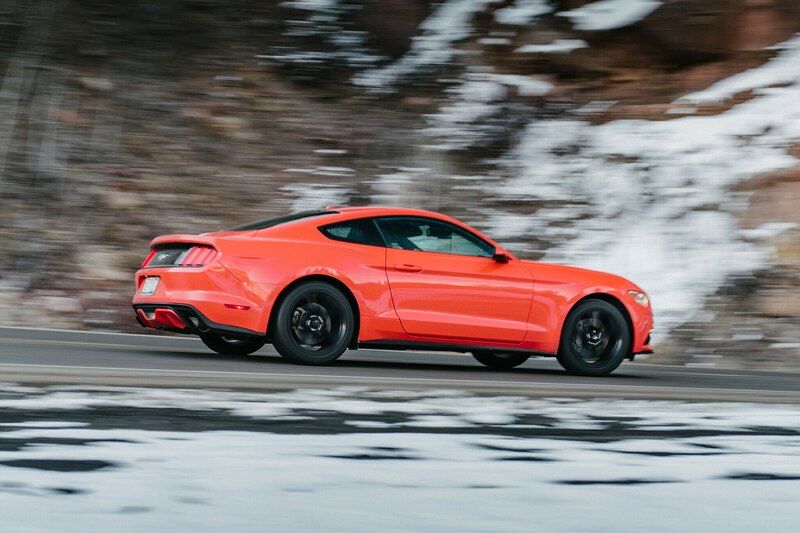 For that cash we got four new brake pads, two new front calipers, two new front rotors, and a brake fluid flush. 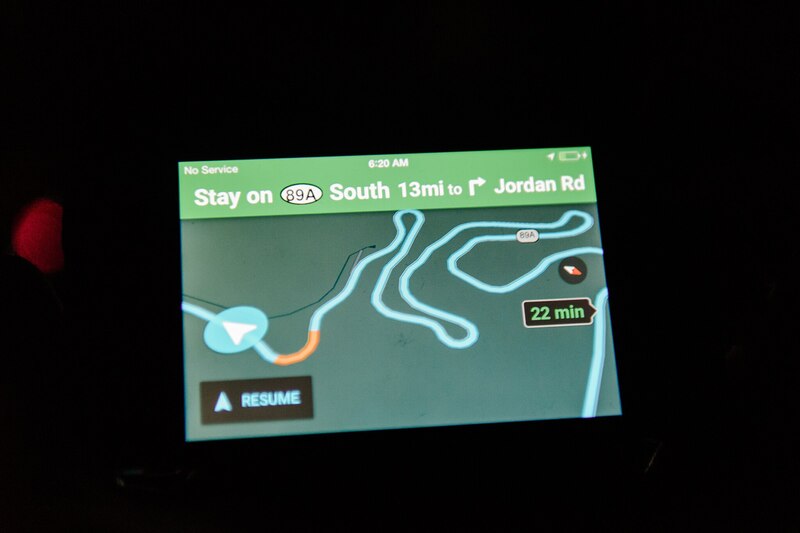 Expensive lesson learned. 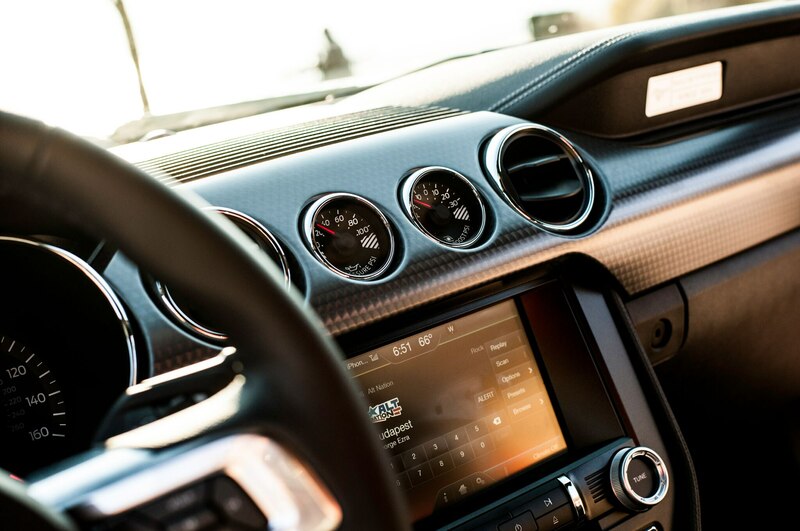 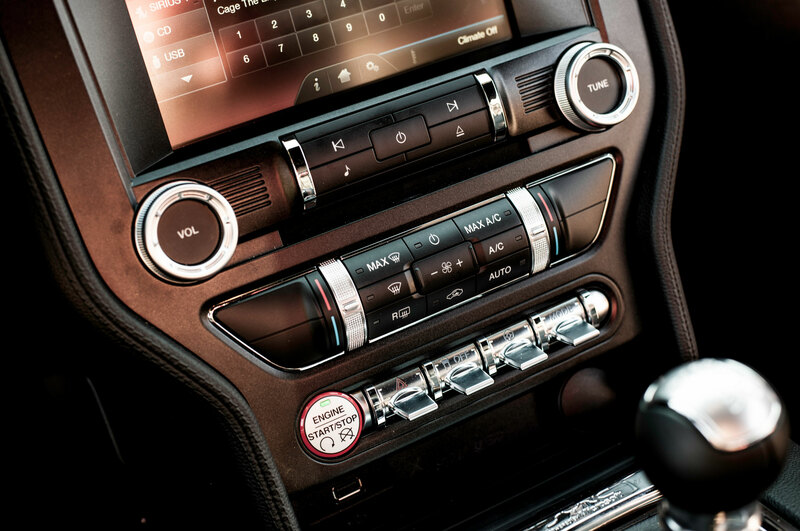 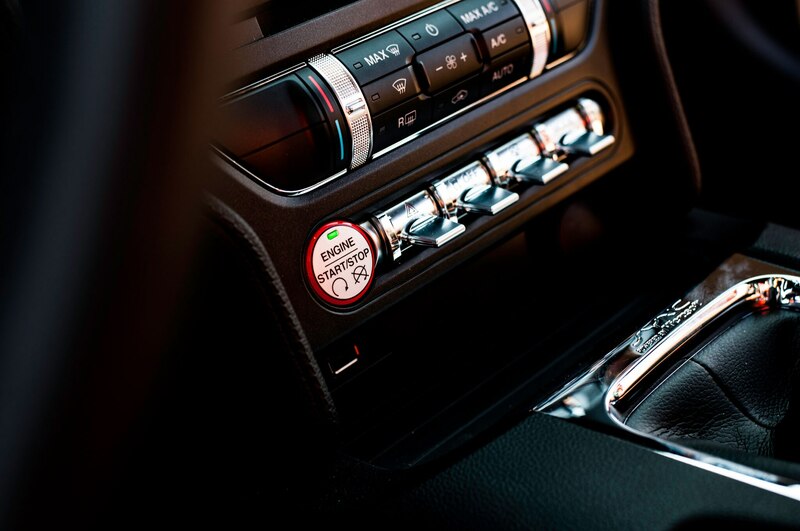 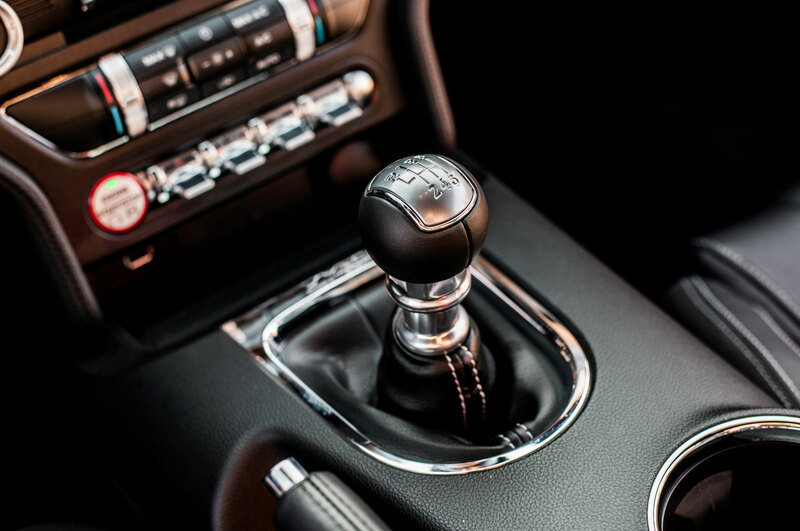 Great ergonomics are at work on the six-speed manual shift knob, which is fun to play with. 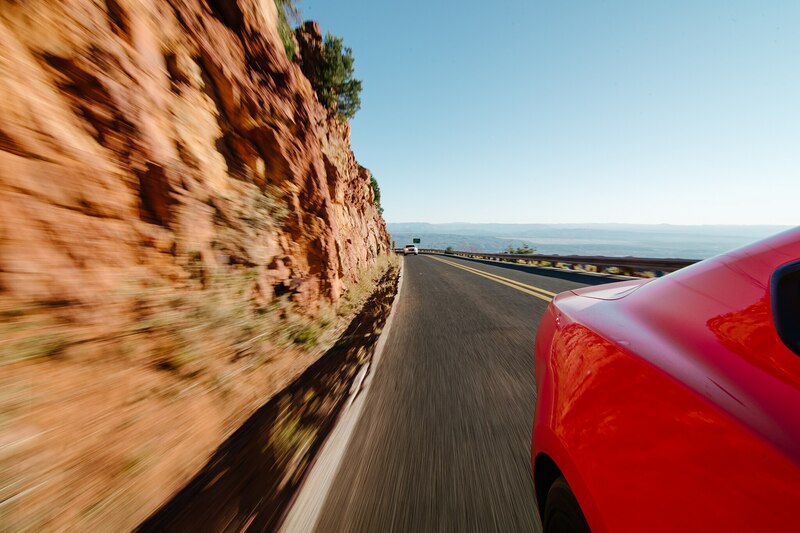 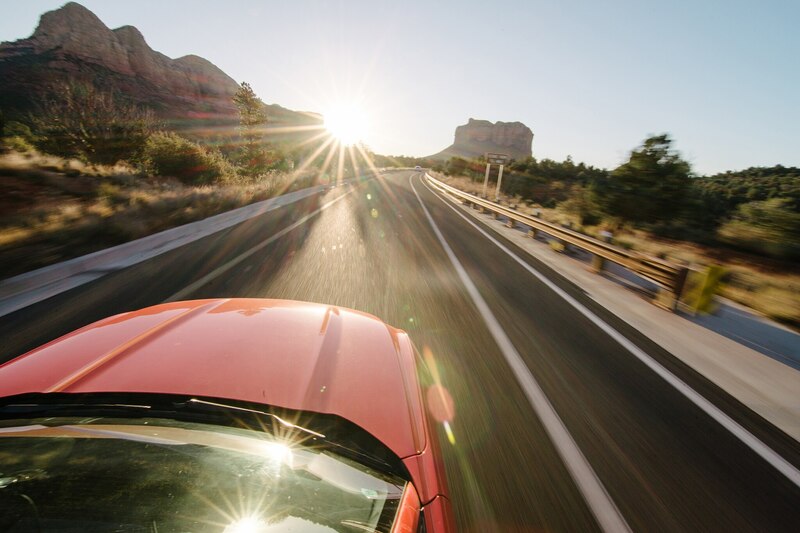 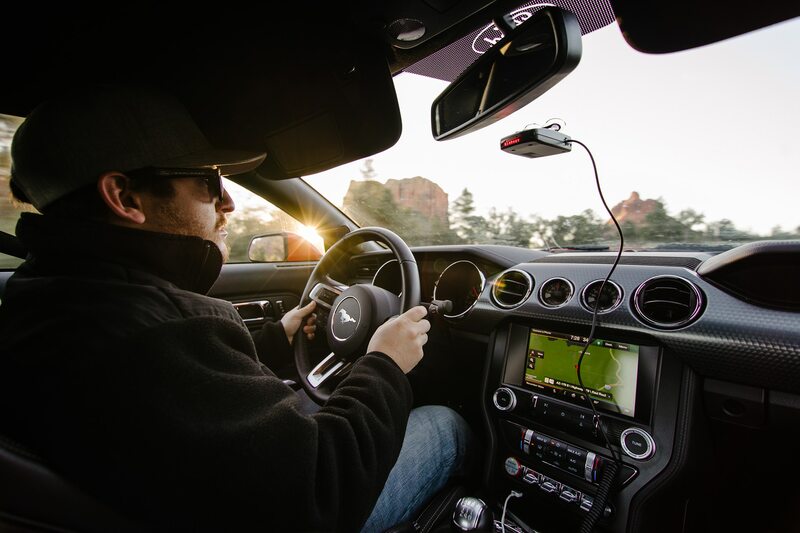 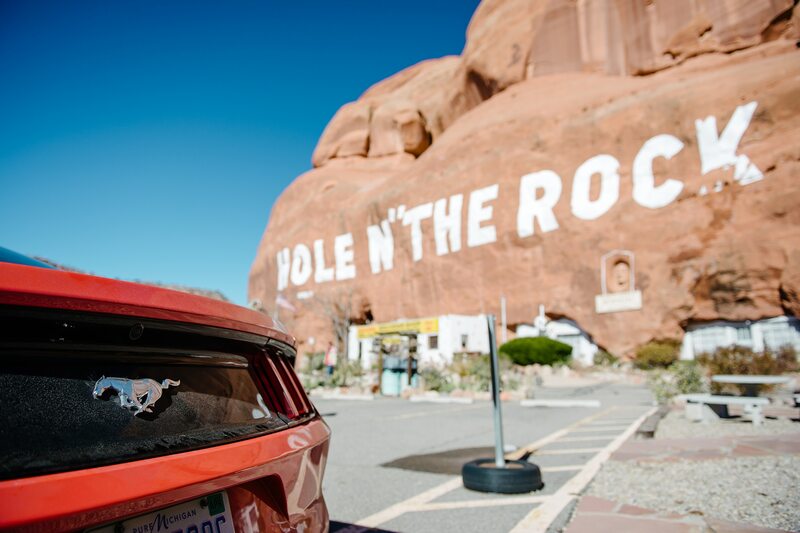 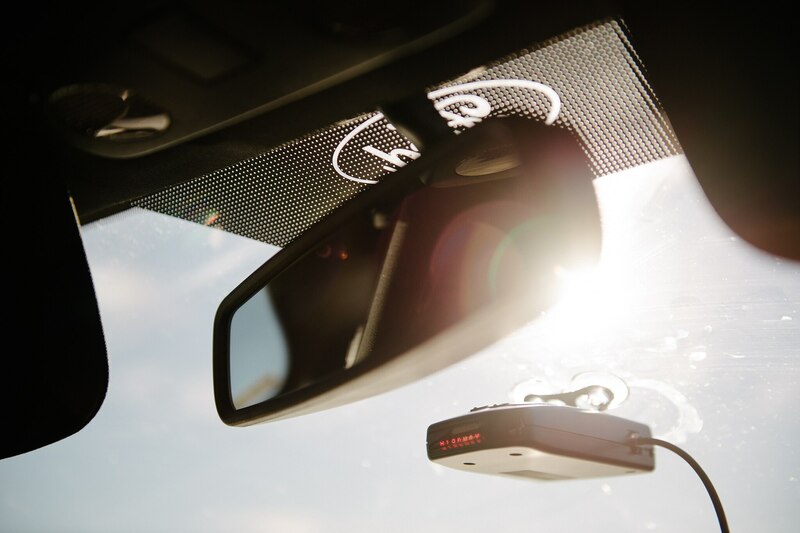 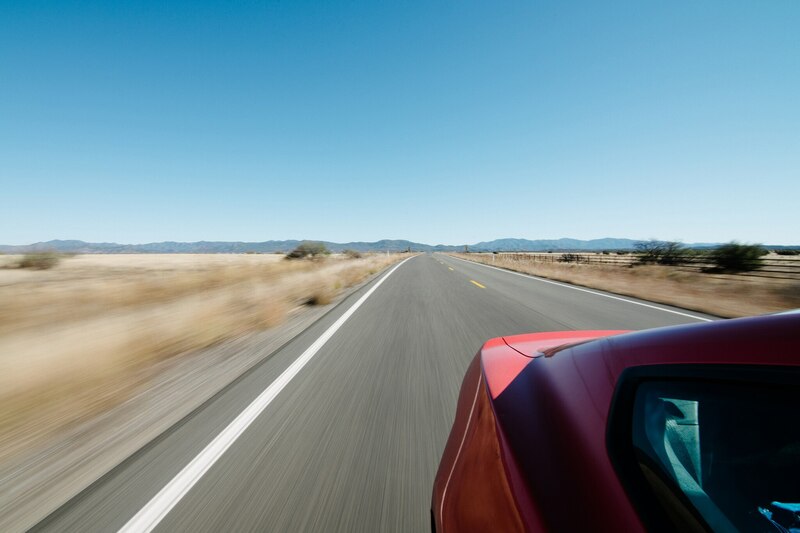 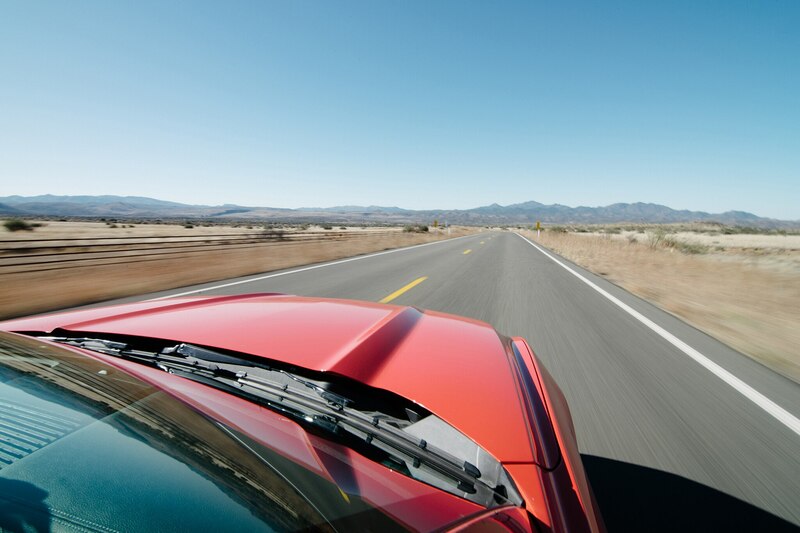 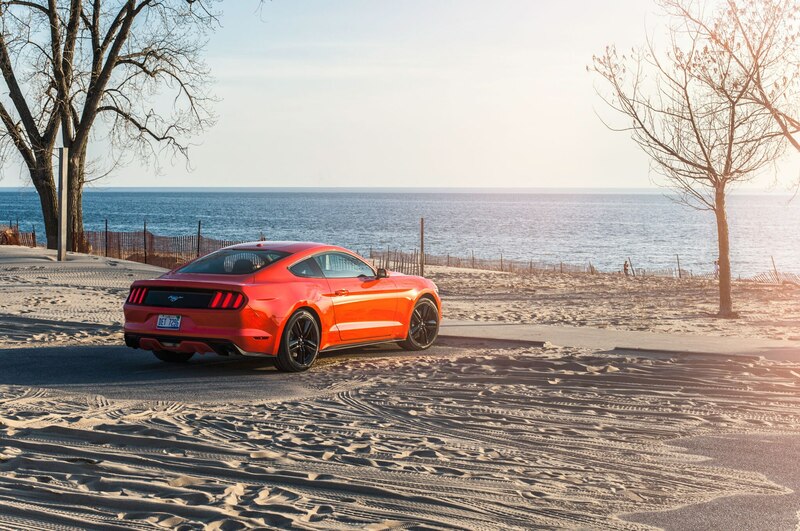 We enjoyed stretching the Mustang’s legs out on the open road as well, with editors snatching the keys for trips to Philadelphia, New York, the Poconos, Michigan’s Upper Peninsula, and even down to South Carolina to cut loose on the Tail of the Dragon. 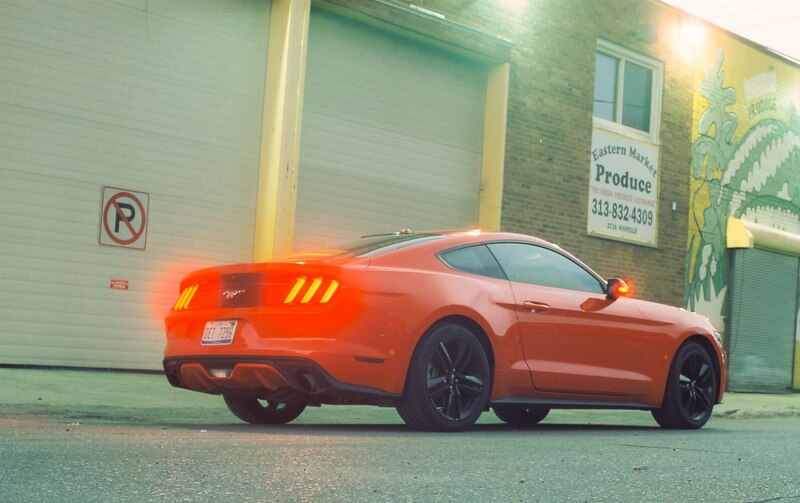 Before the Mustang made its biggest trip of the year — an epic journey from Detroit to Automobile HQ in Los Angeles — we swapped out the worn summer tires for high-performance Michelin Pilot Sport A/S 3 all-season rubber that came recommended from our friends at Tire Rack. 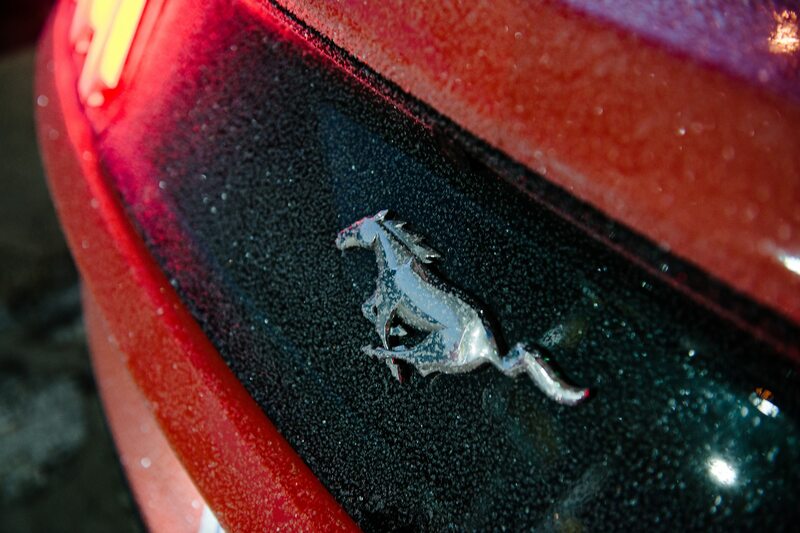 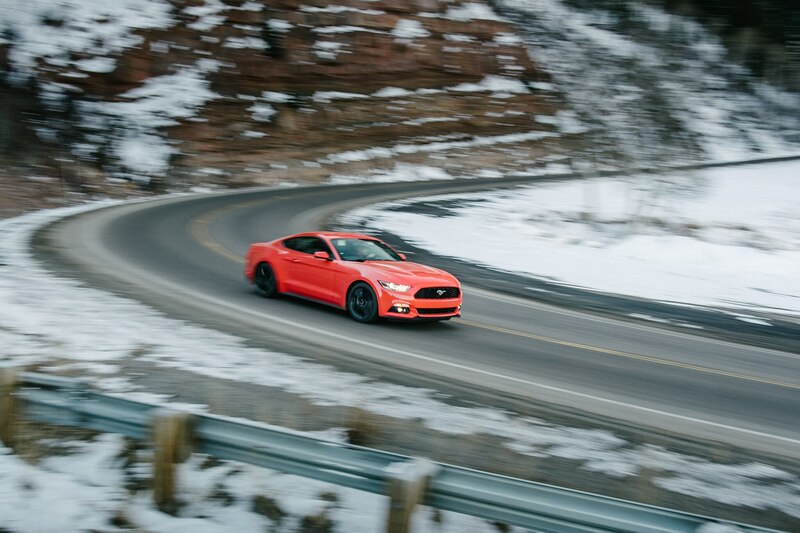 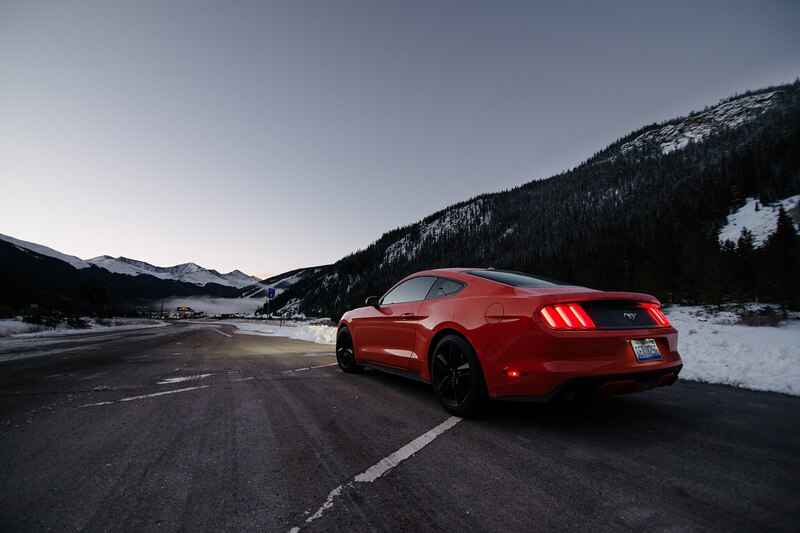 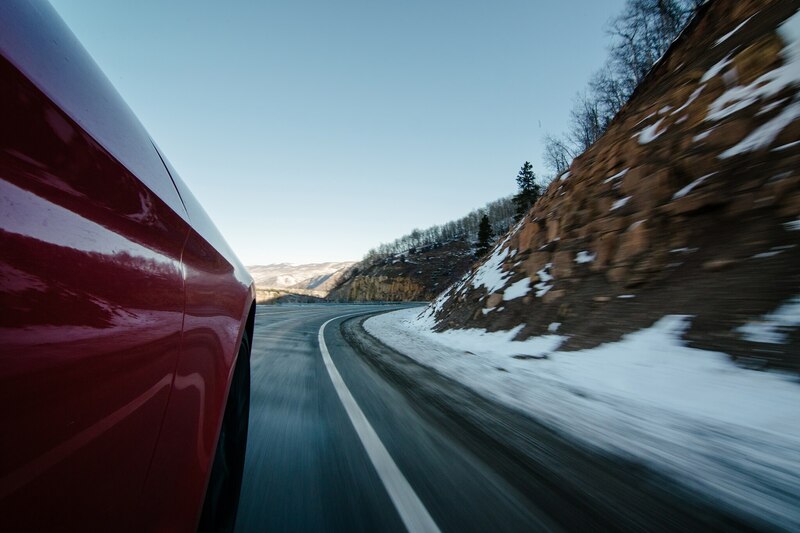 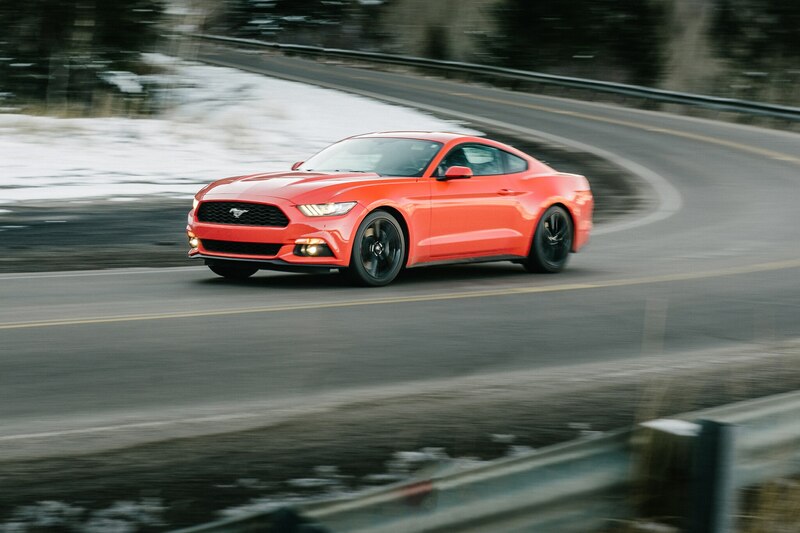 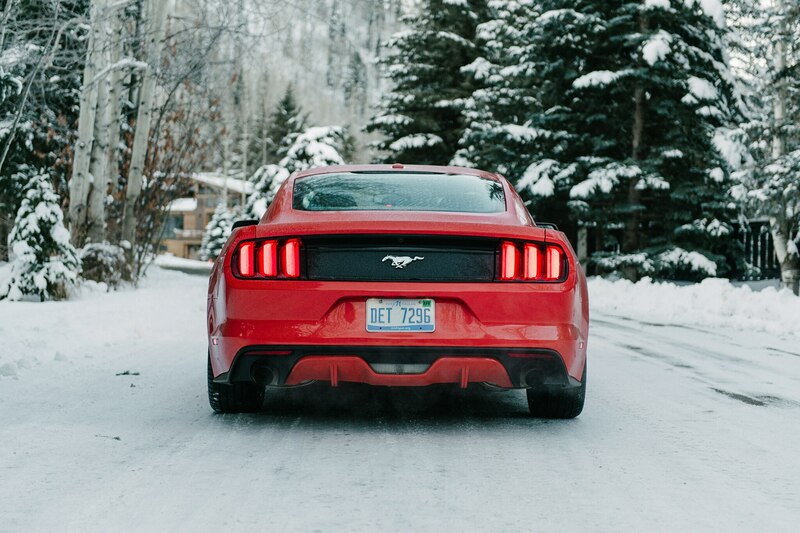 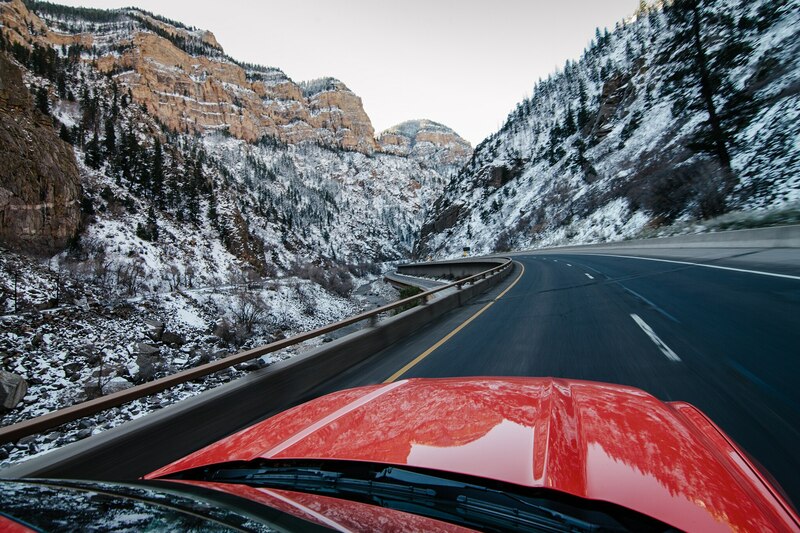 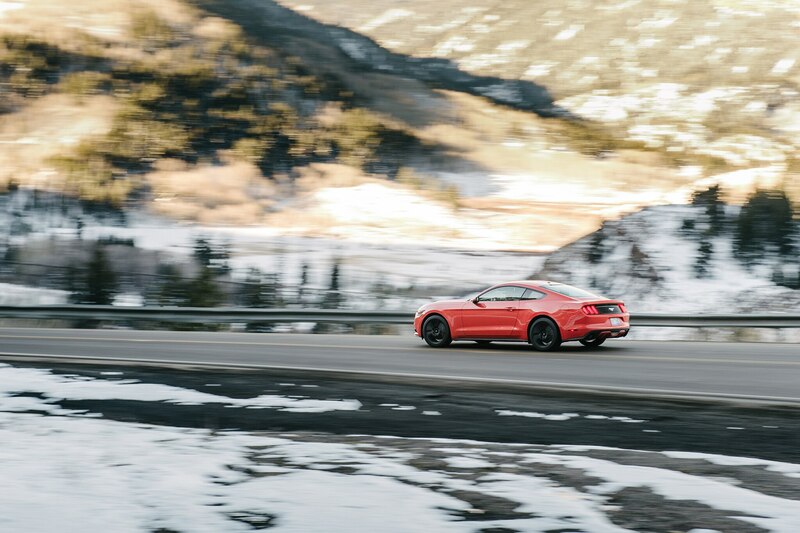 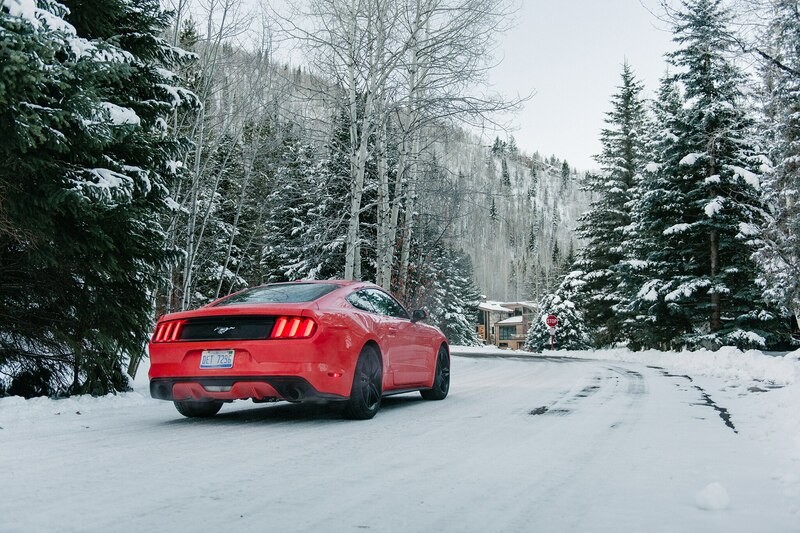 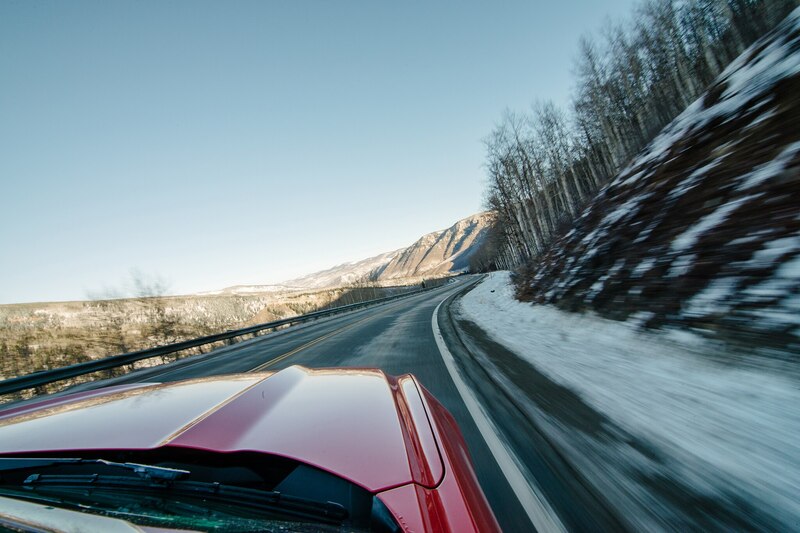 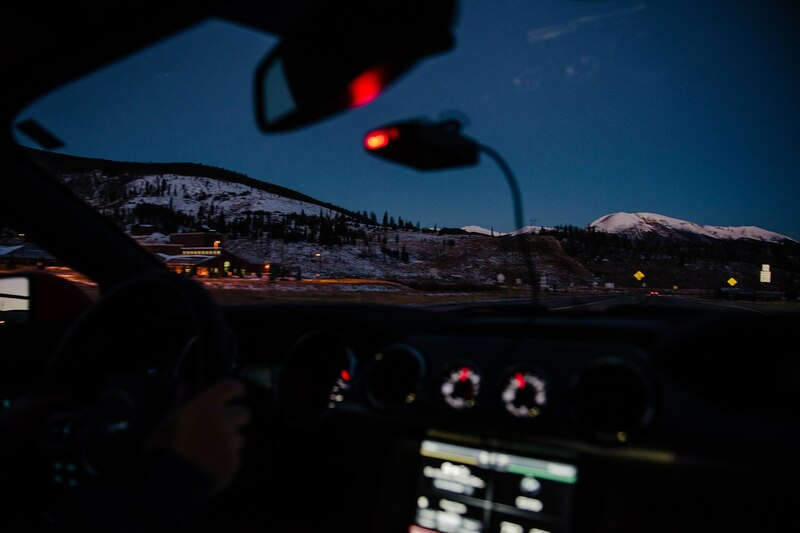 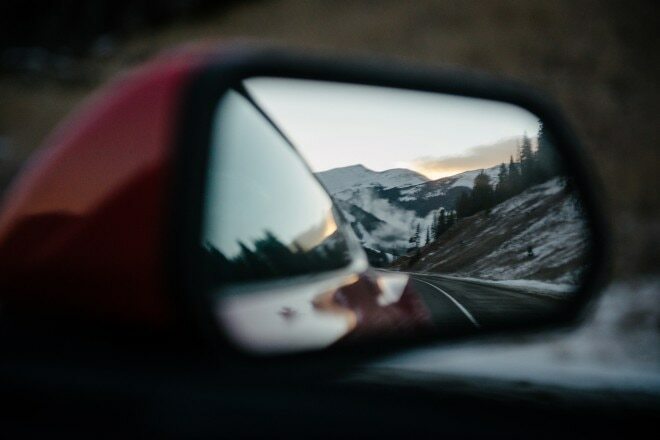 We drove through snowstorms and over icy roads in Iowa and Colorado, and thankfully the rear-wheel-drive Mustang never got too squirrely along the way. 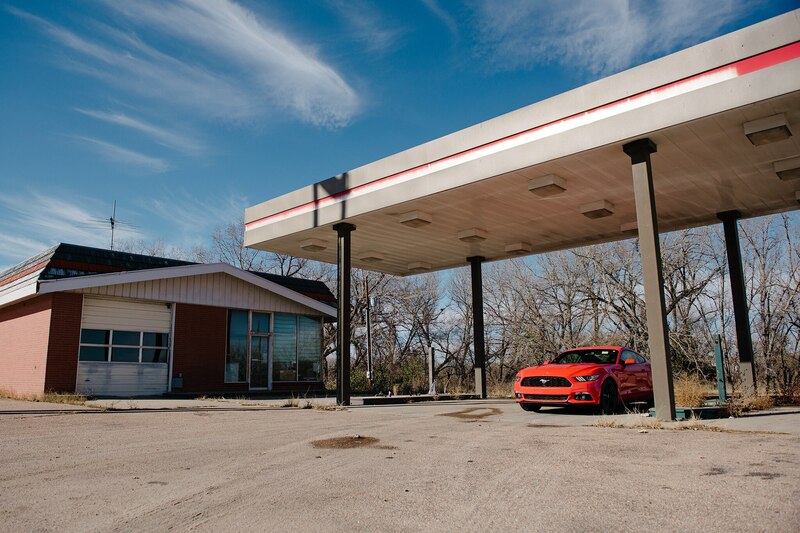 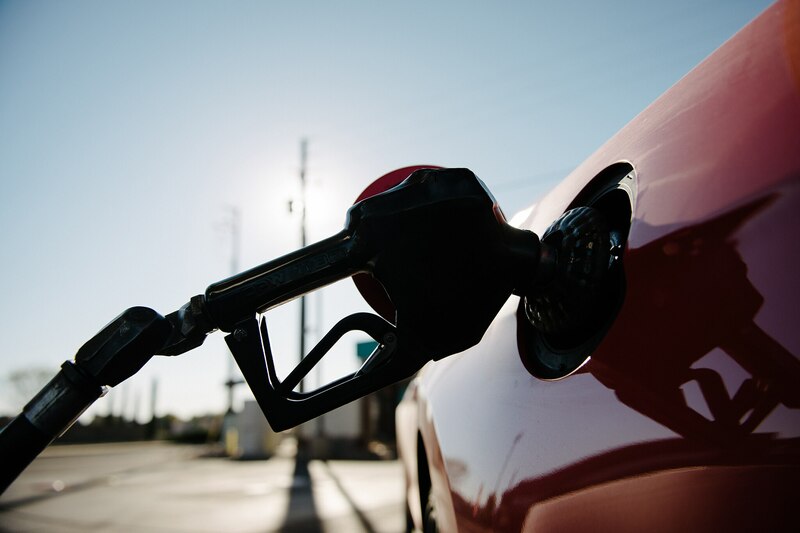 We matched the car’s EPA-estimated 31 mpg on the highway, which meant easy cruising for more than 400 miles between fill-ups. 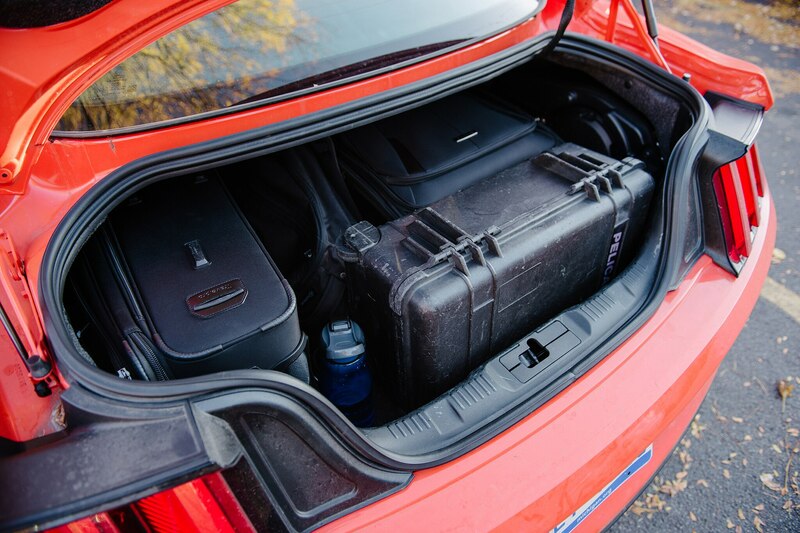 Packing for the cross-country escapade took very little forethought, seeing as how the Mustang’s foldable rear seats and reasonably wide trunk opening make the Camaro’s cargo area look like a mail slot. 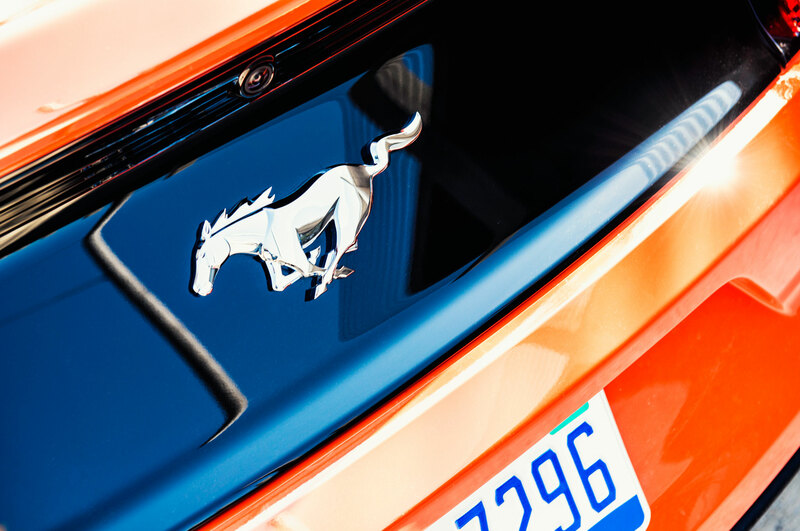 The Blue Oval ponycar also bests its Bow Tie competitor when it comes to visibility, according to contributing editor John Lamm: “It’s interesting how you sit so far back from that high and imposing hood, even though it’s a four-cylinder. 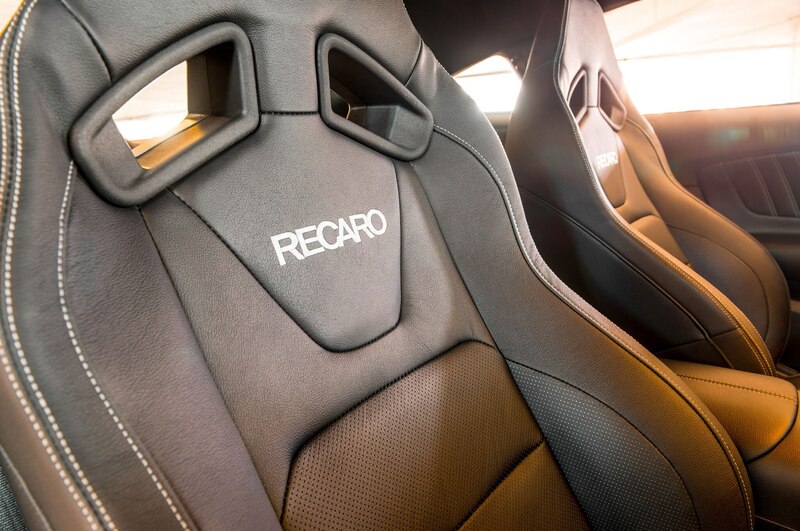 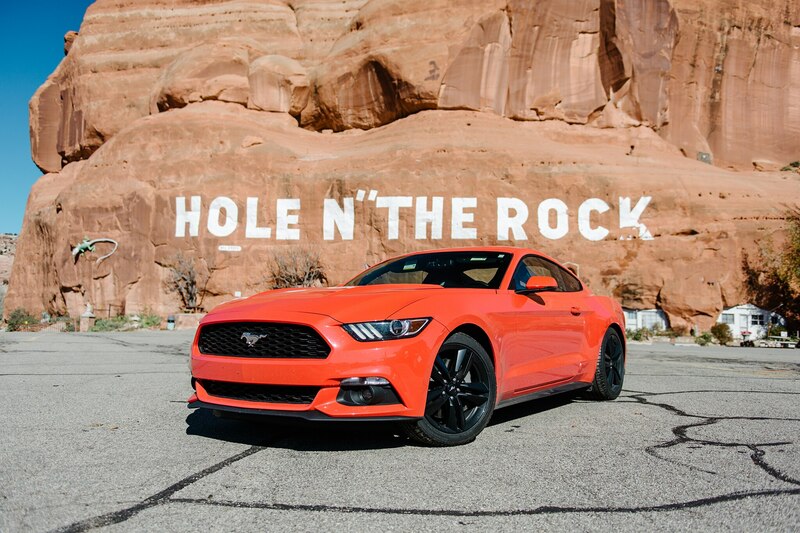 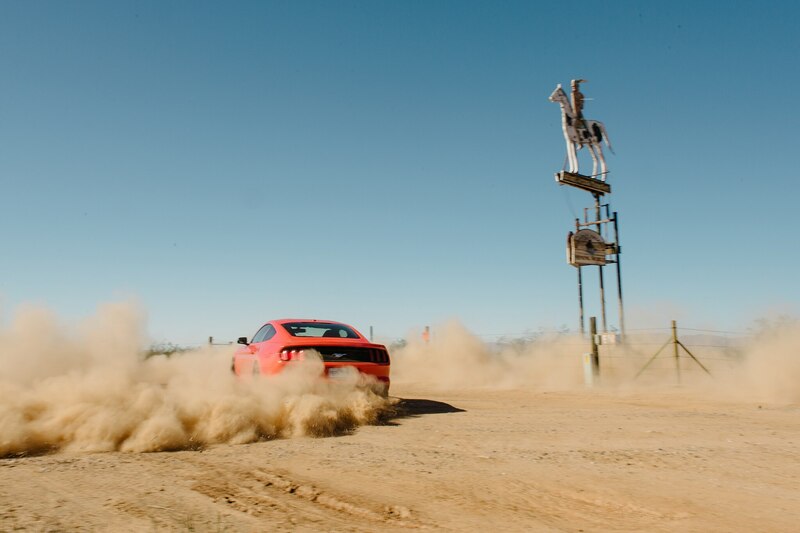 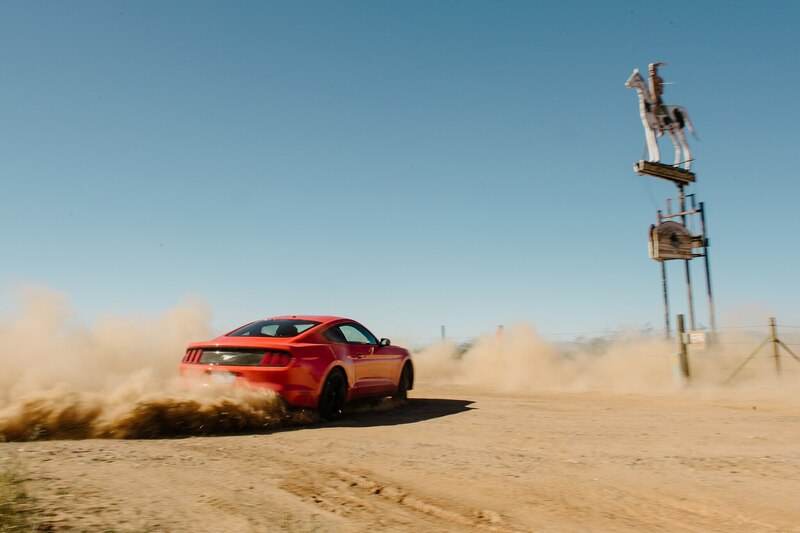 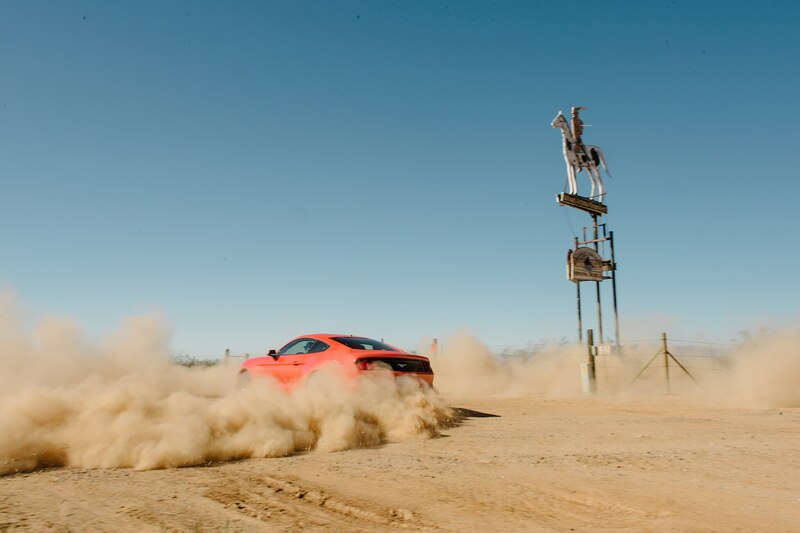 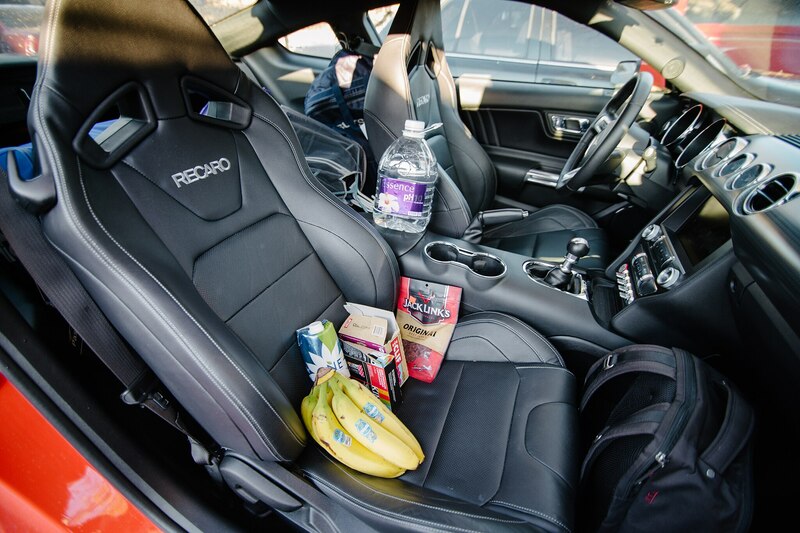 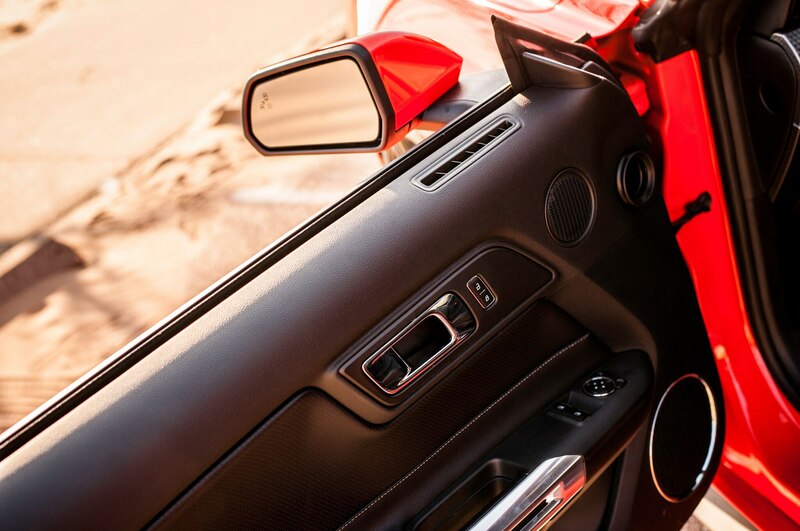 Nonetheless you can actually see out of the Mustang, which is more than you can say for the Camaro with its bunker roof.” Editors also lauded the Recaros, which proved extremely supportive at the track and plenty comfortable during our longer trips. 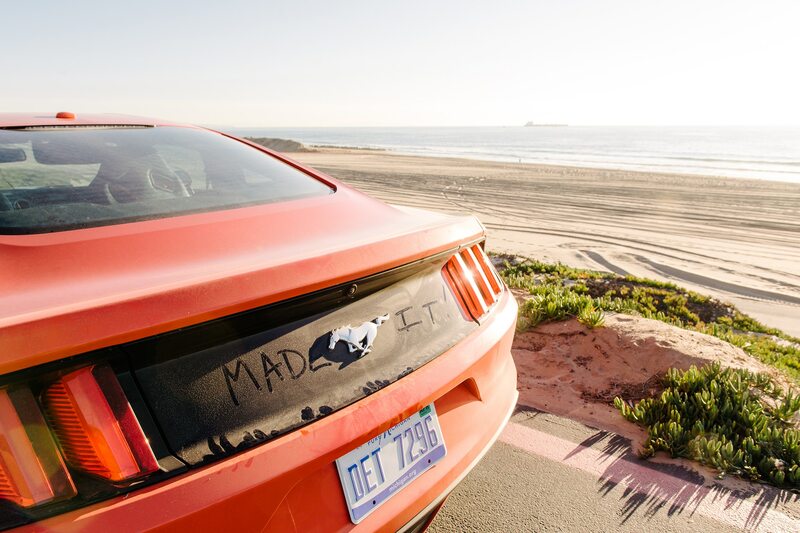 A generous dusting of Pacific Ocean sand adds a victorious final layer to many states’ worth of road grime. 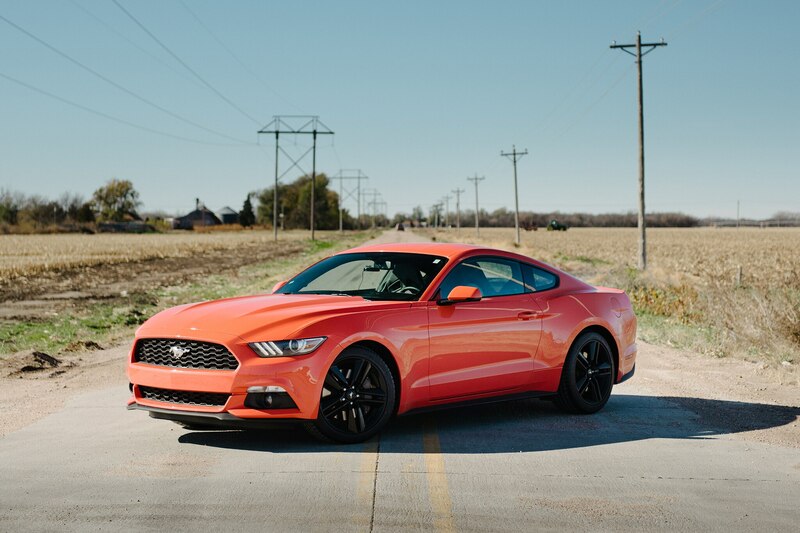 Maybe the trap of an EcoBoost Mustang, especially with the optional Performance Package, is that it’s like the uncanny valley—something appears normal but is slightly different in a very nondescript way and thus causes uneasiness. 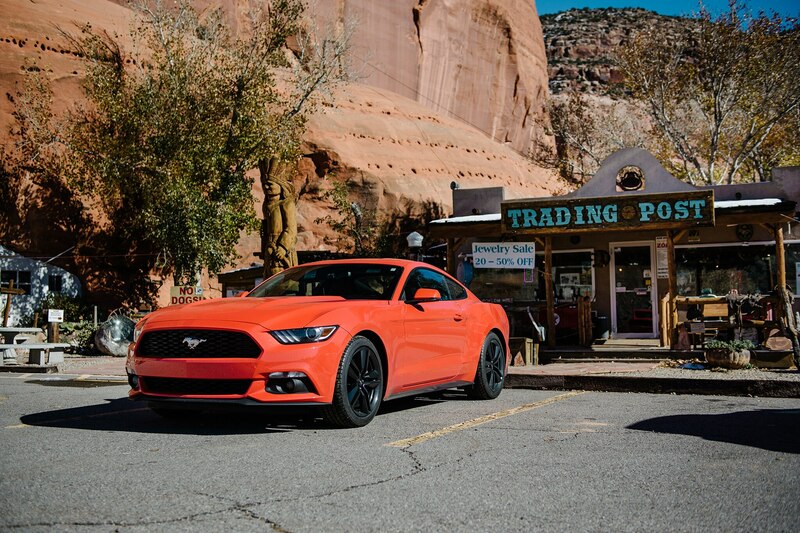 The more a Mustang looks like a GT while boasting 310 hp as well as great fuel economy, the more we criticize it if or when it falls short of expectations. 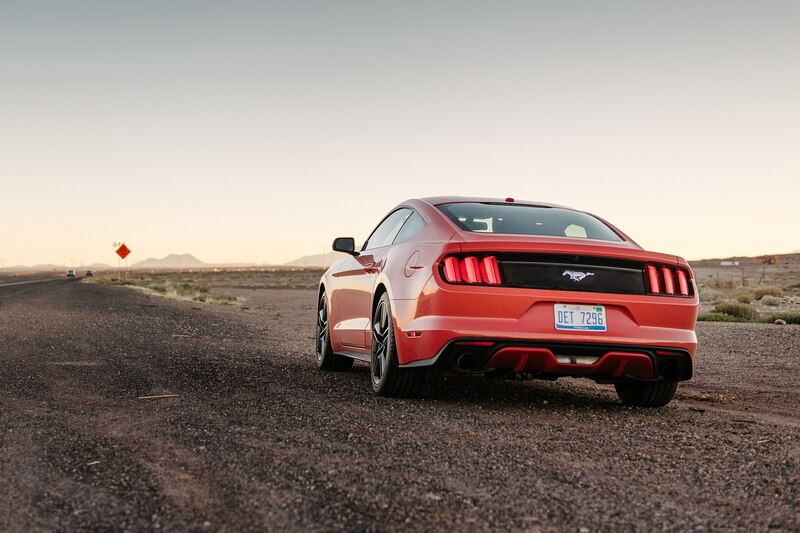 Ford’s new-world Mustang is, after all, better suited to its time than the SVO ever was. 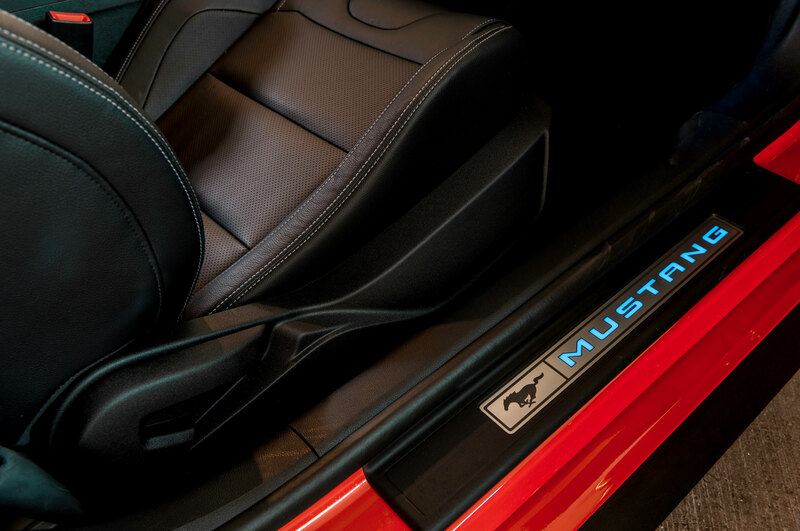 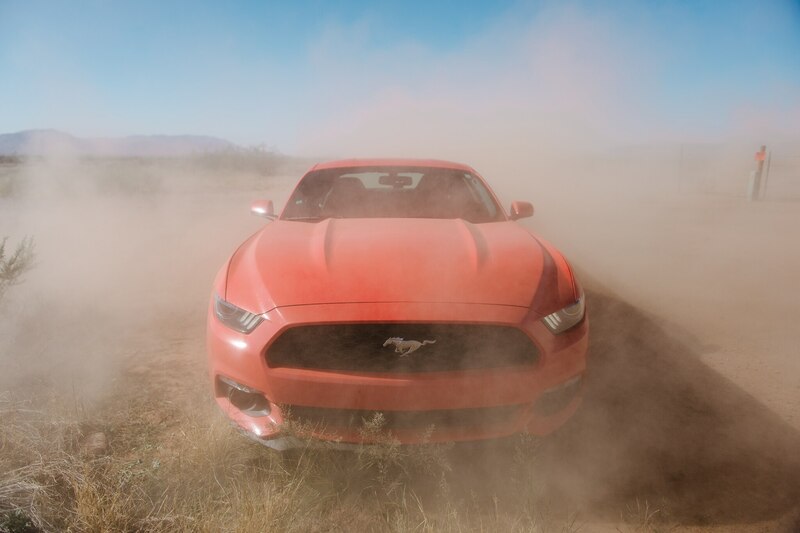 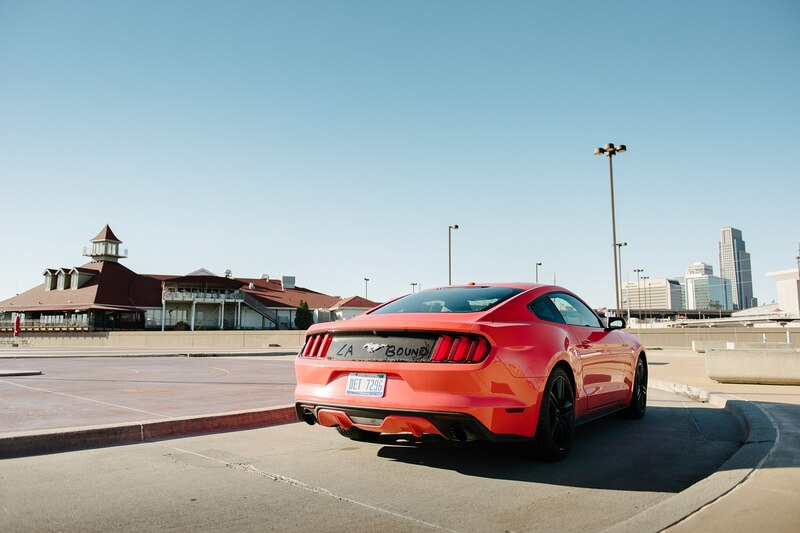 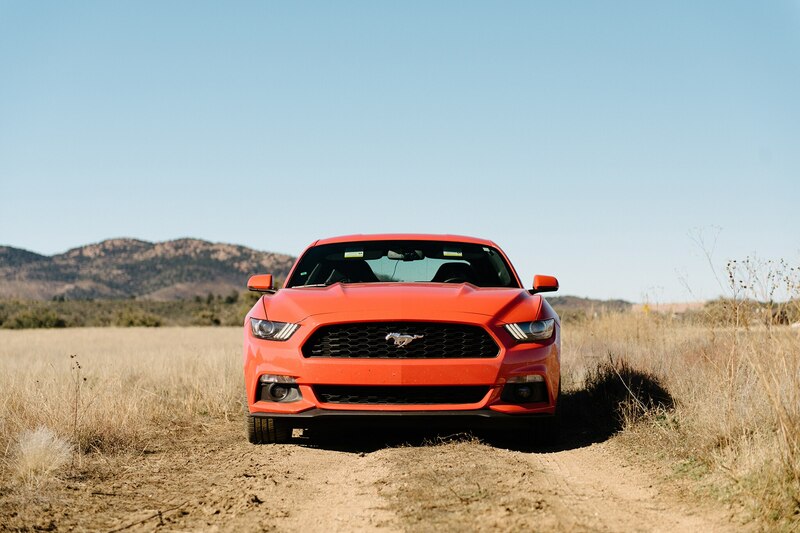 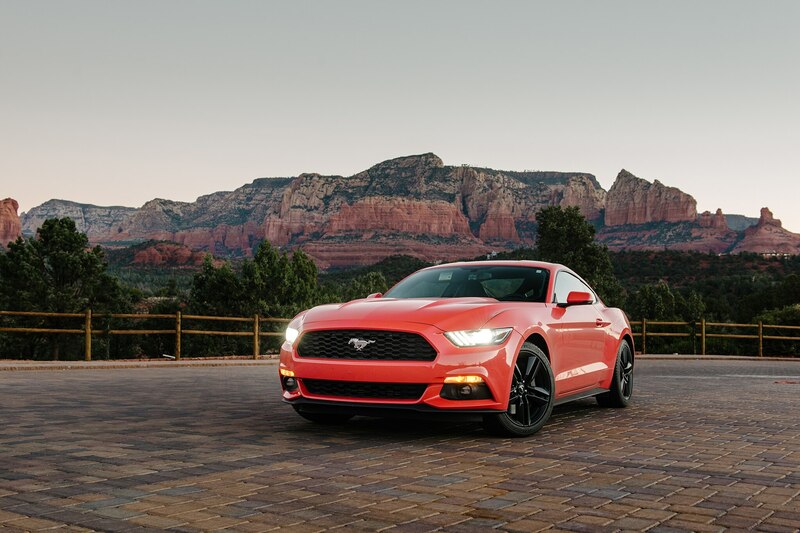 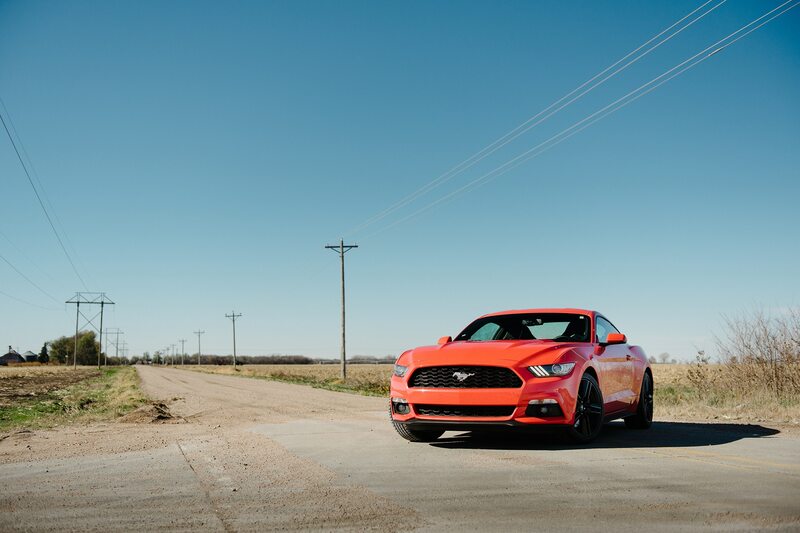 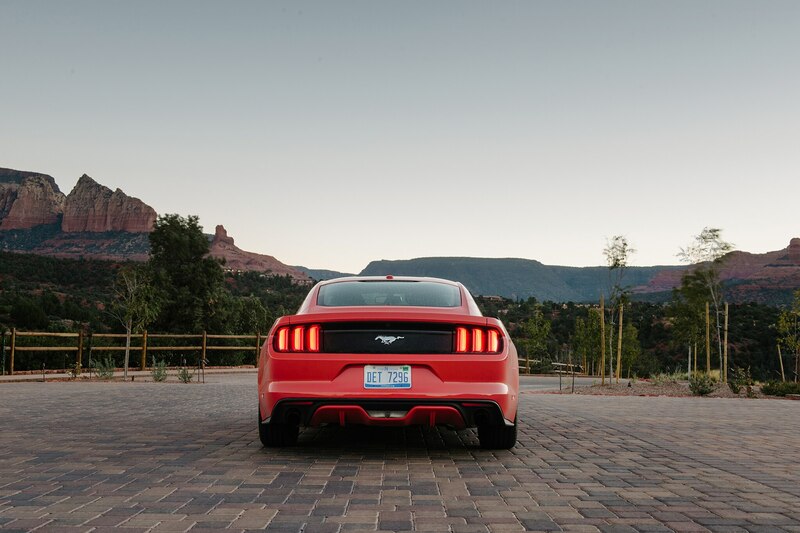 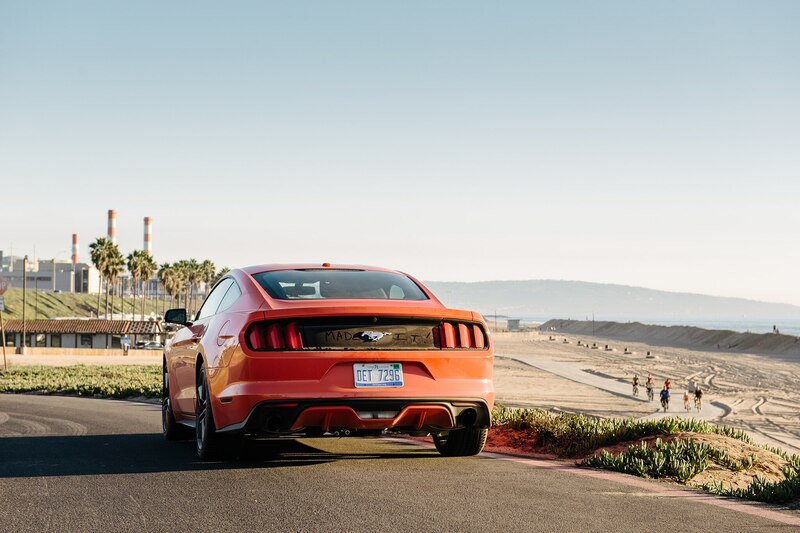 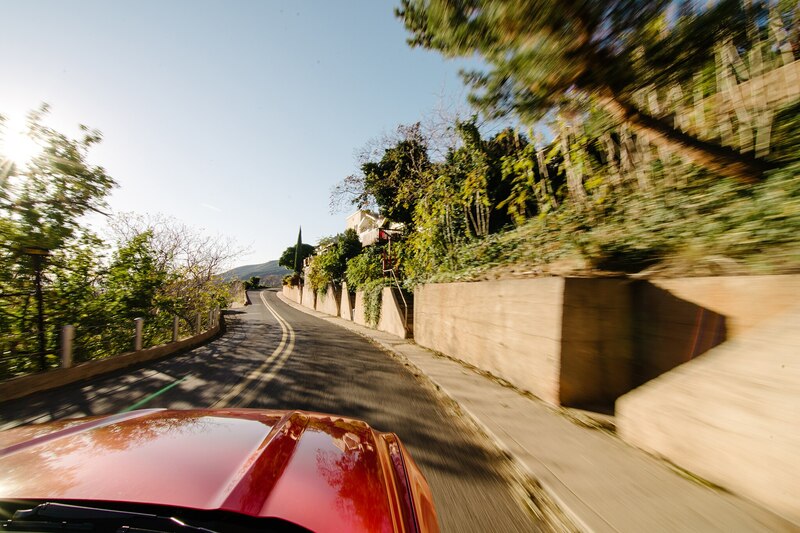 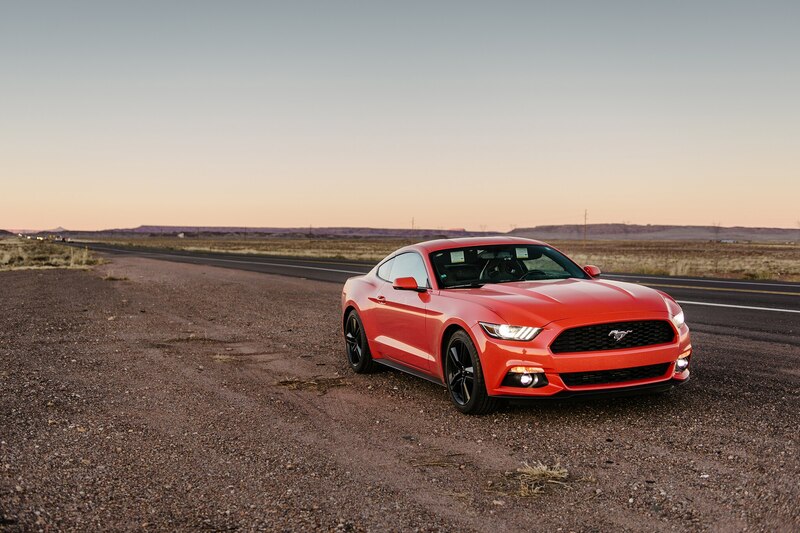 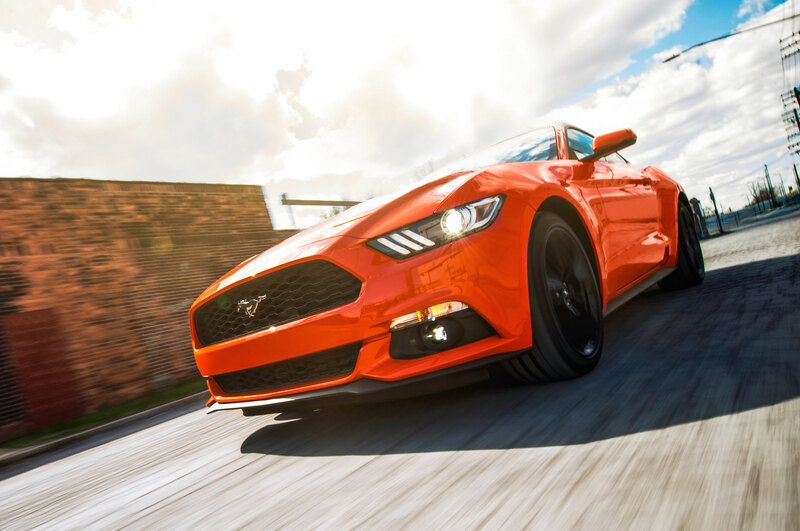 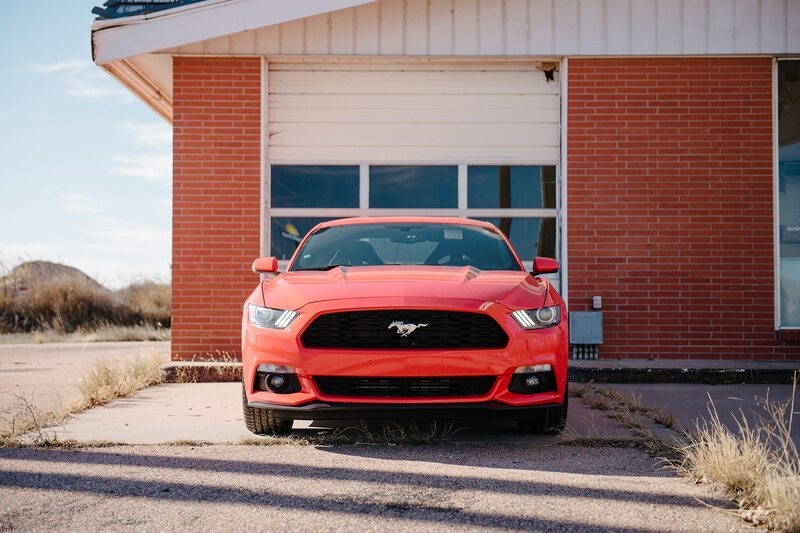 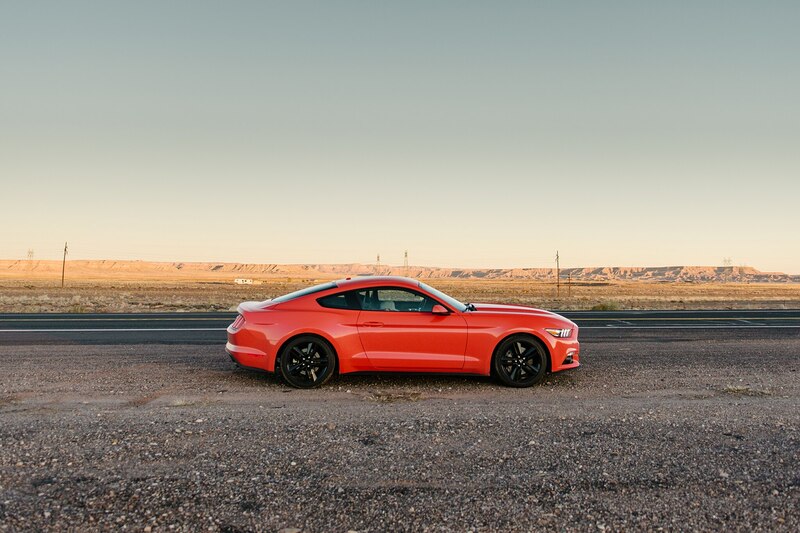 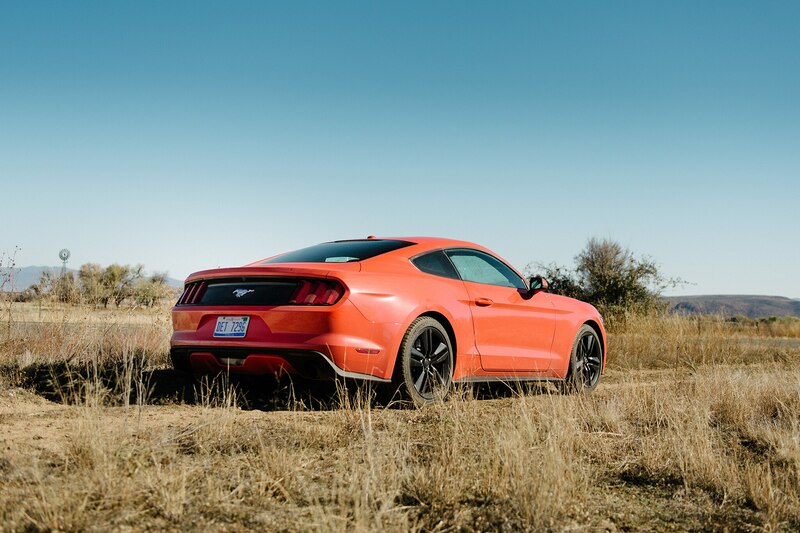 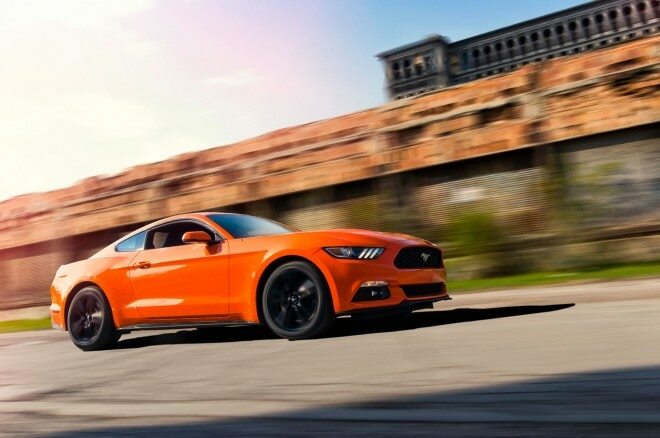 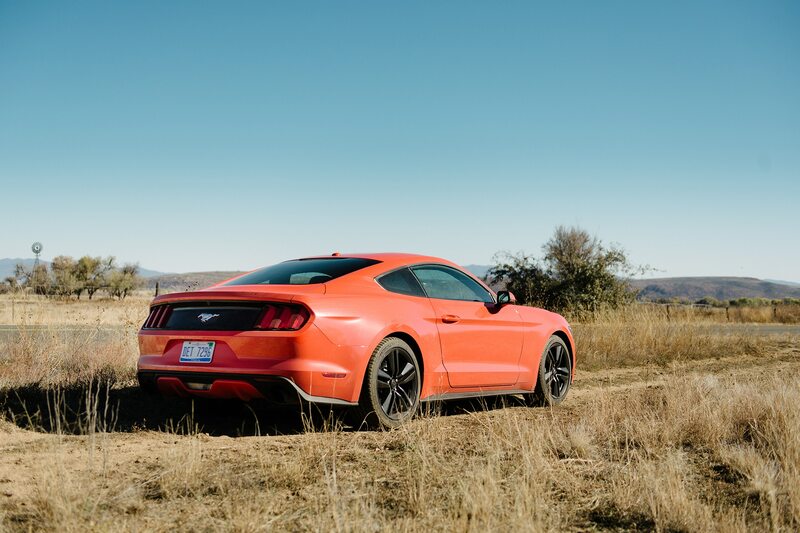 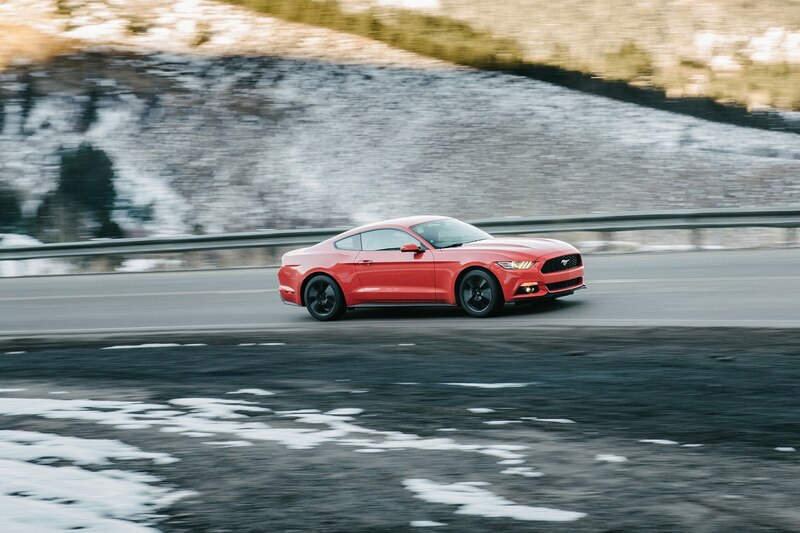 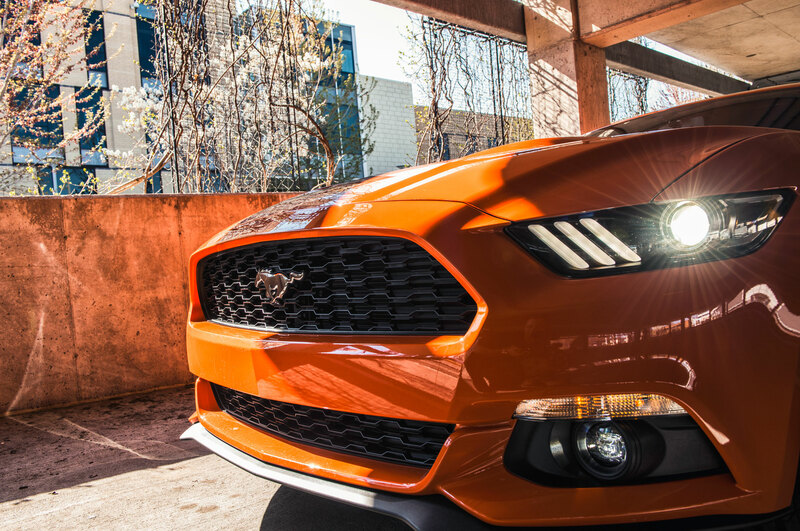 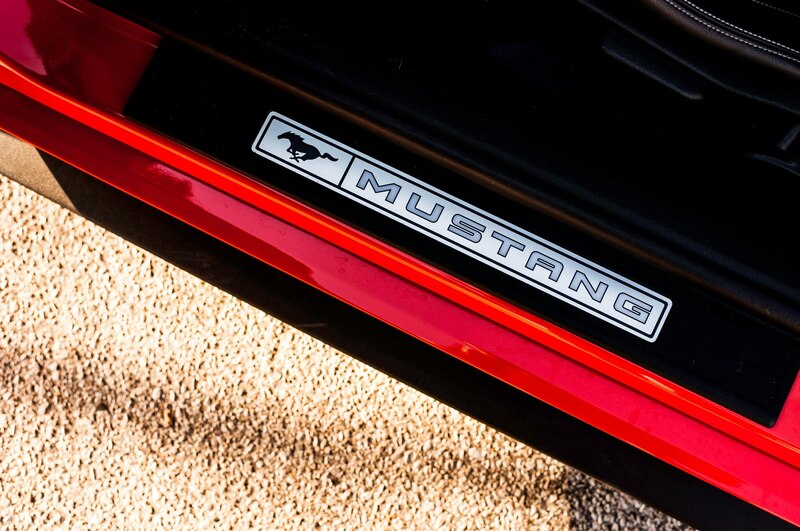 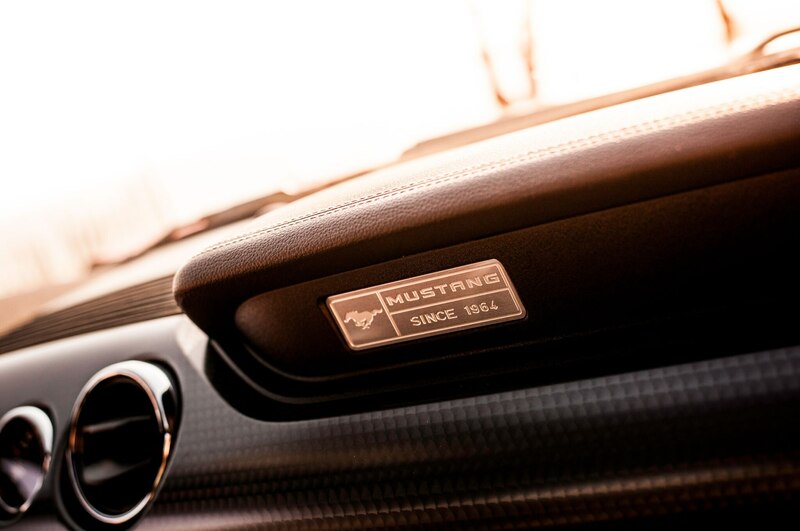 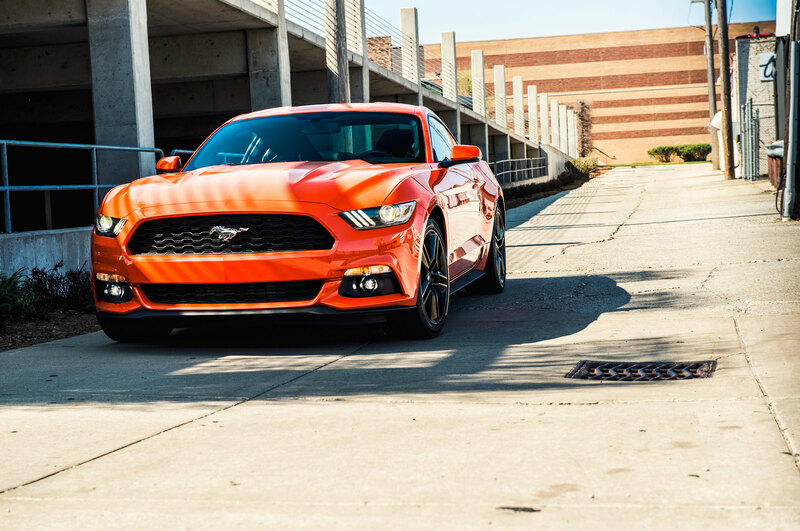 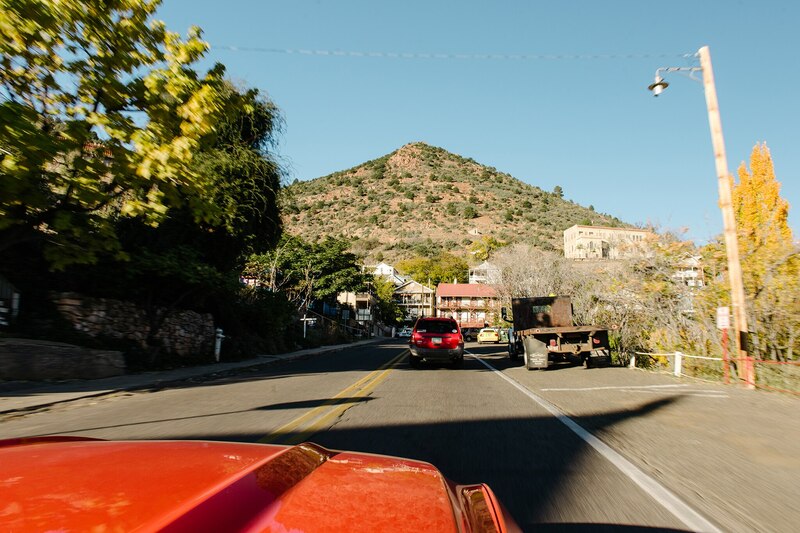 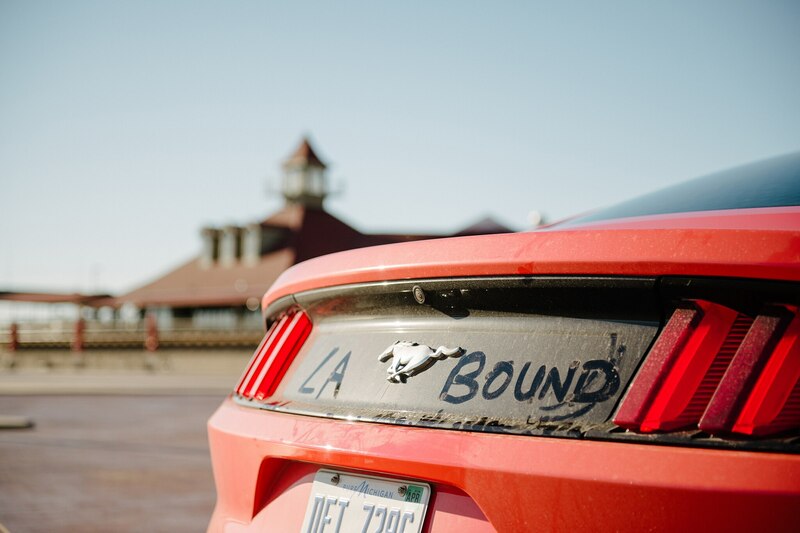 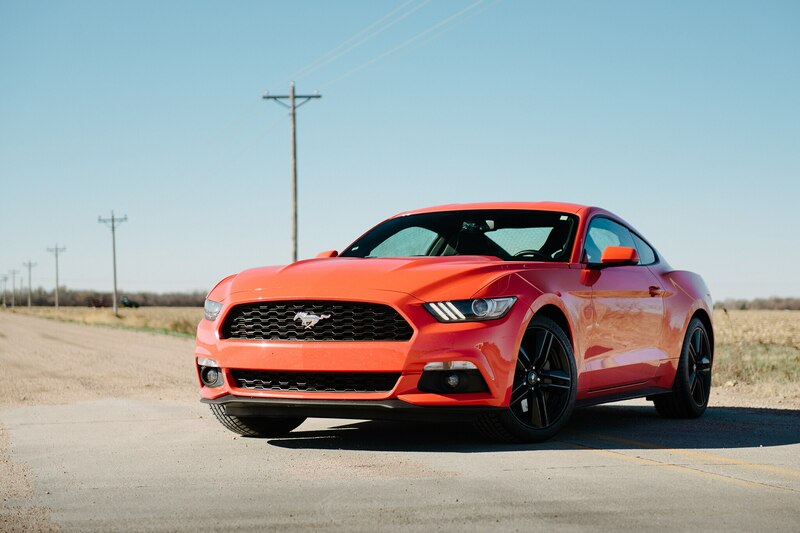 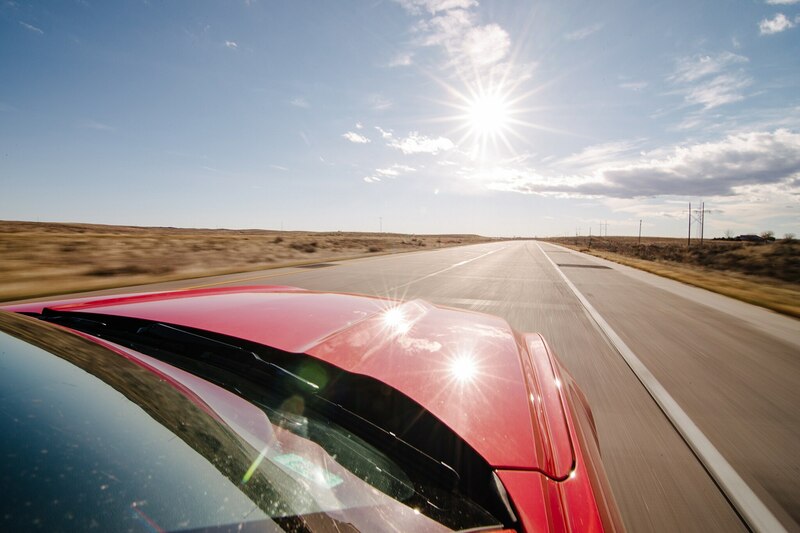 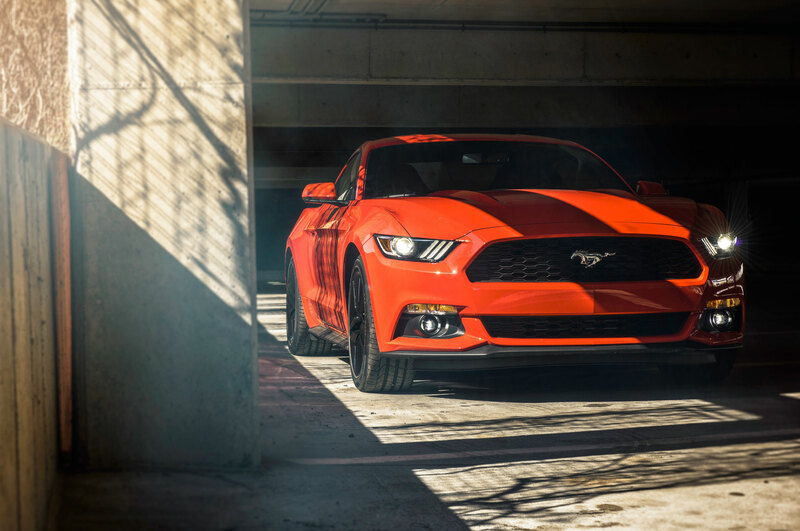 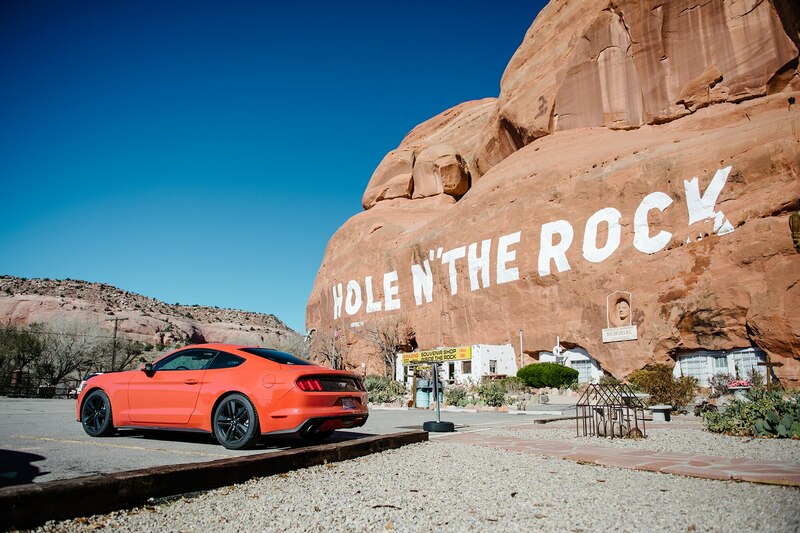 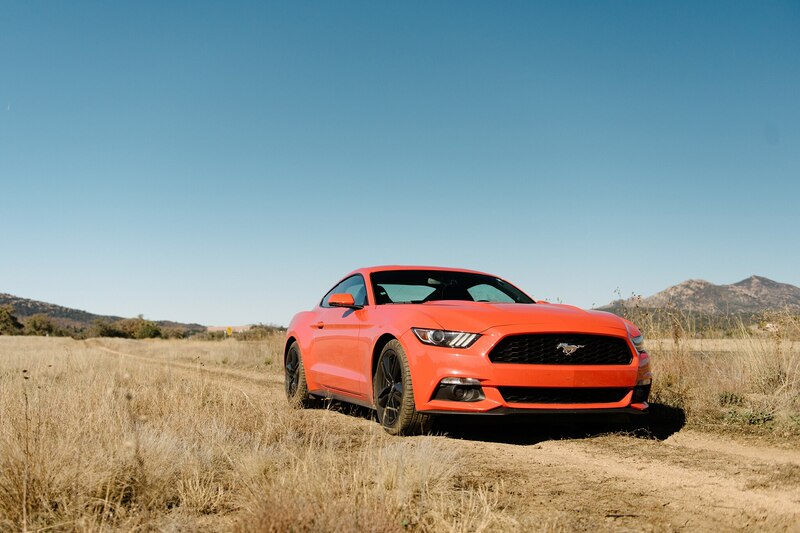 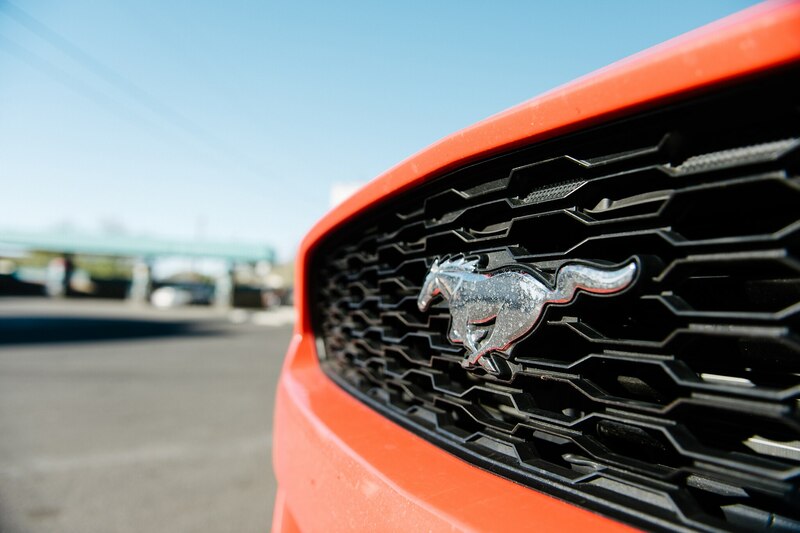 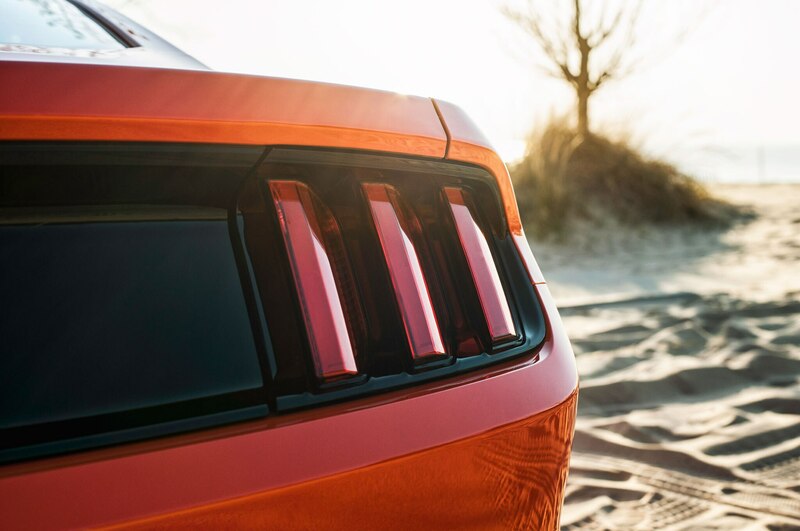 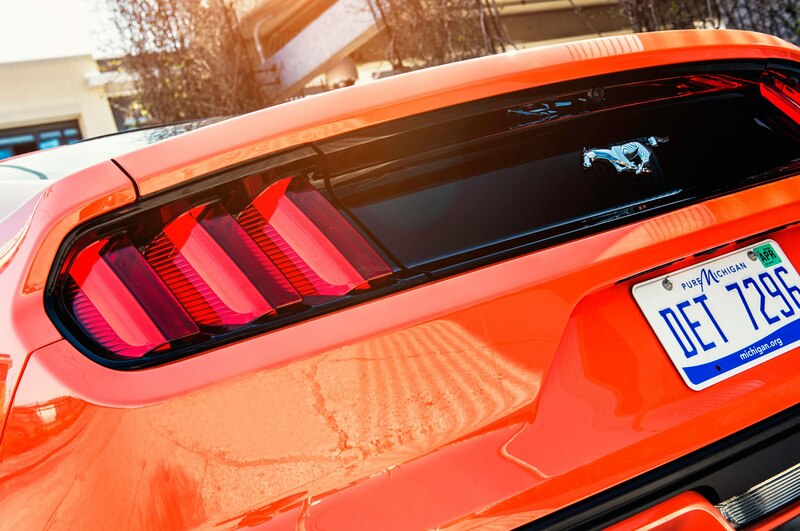 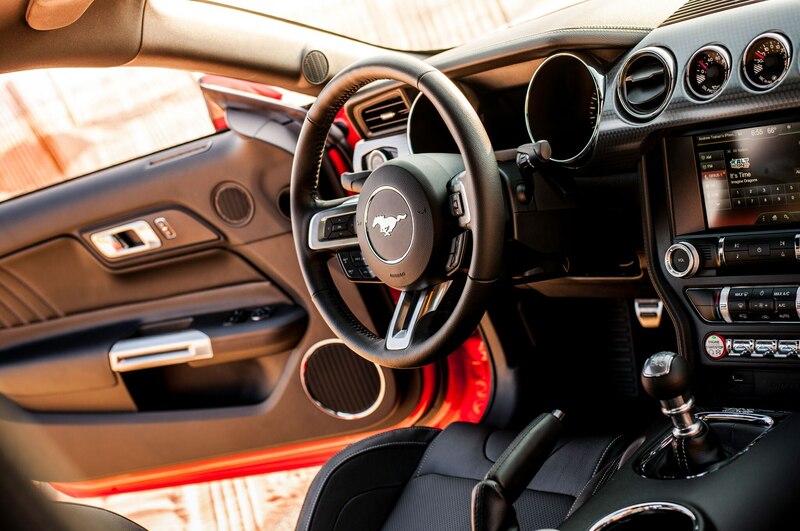 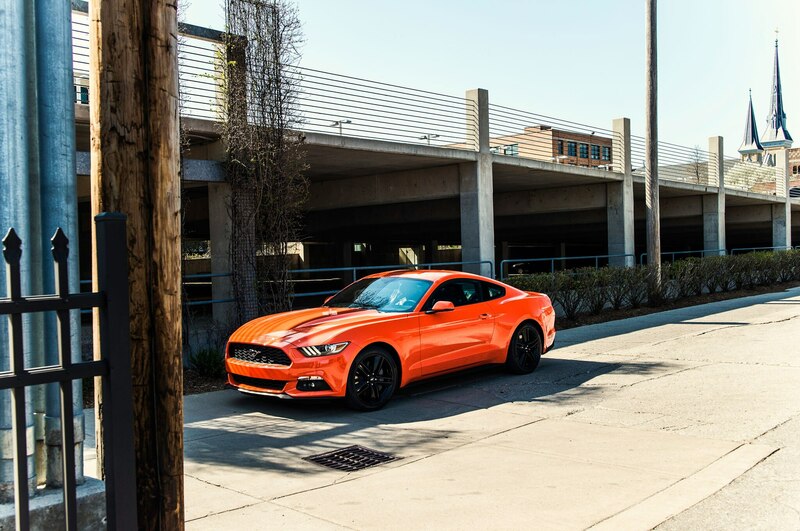 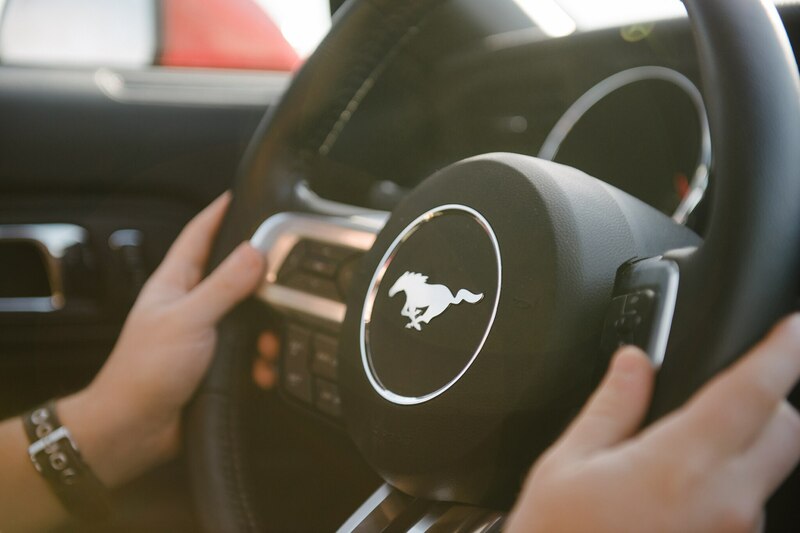 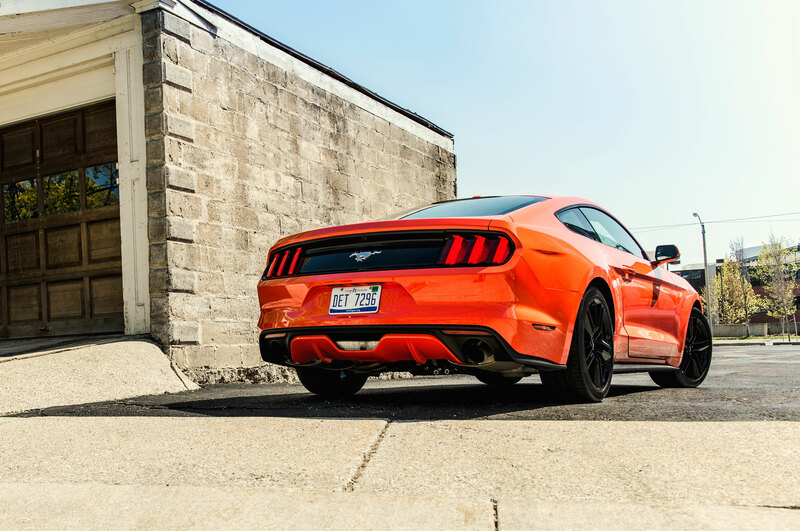 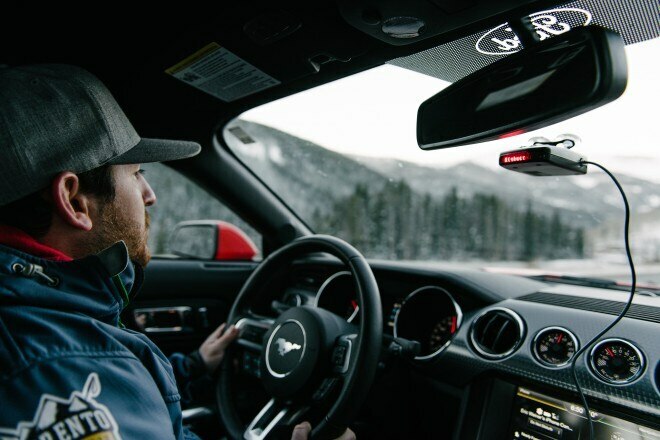 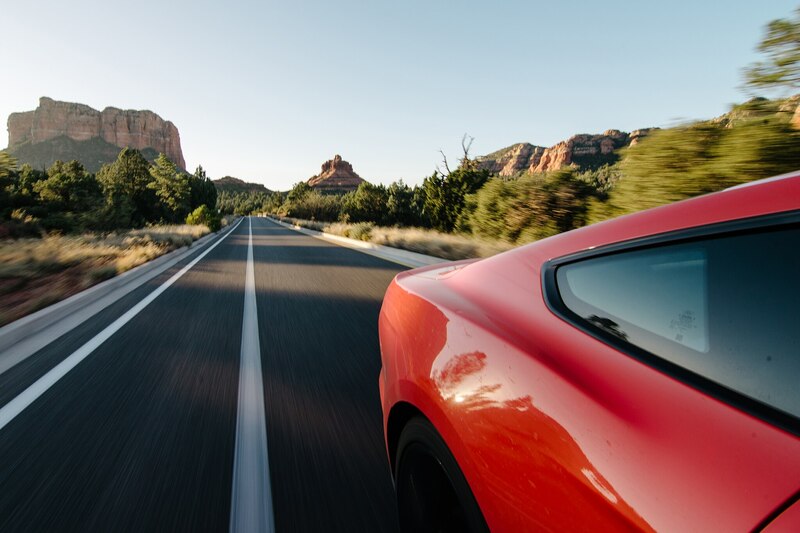 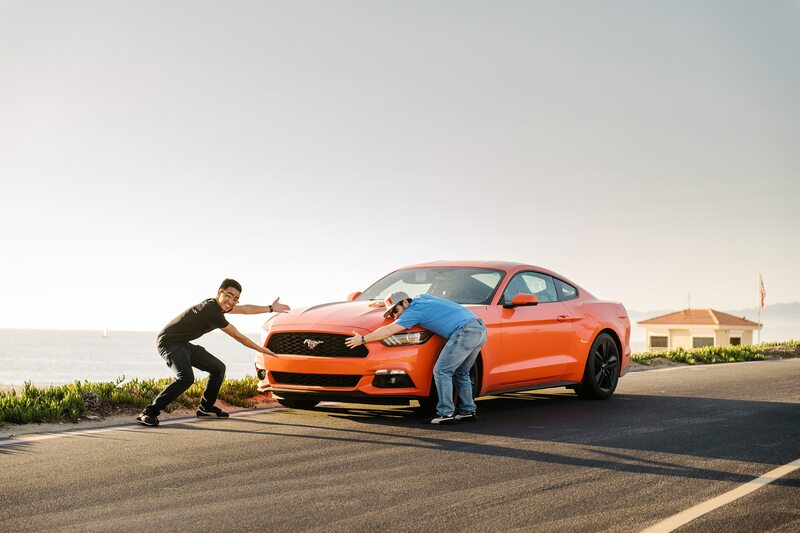 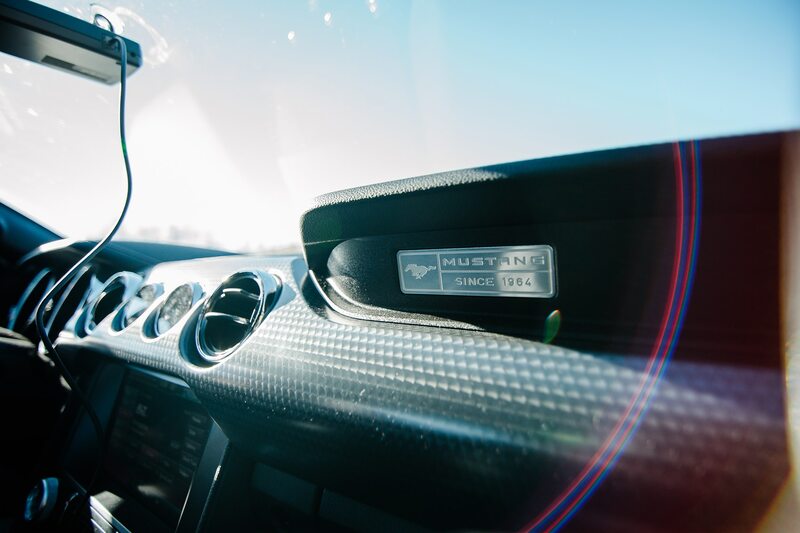 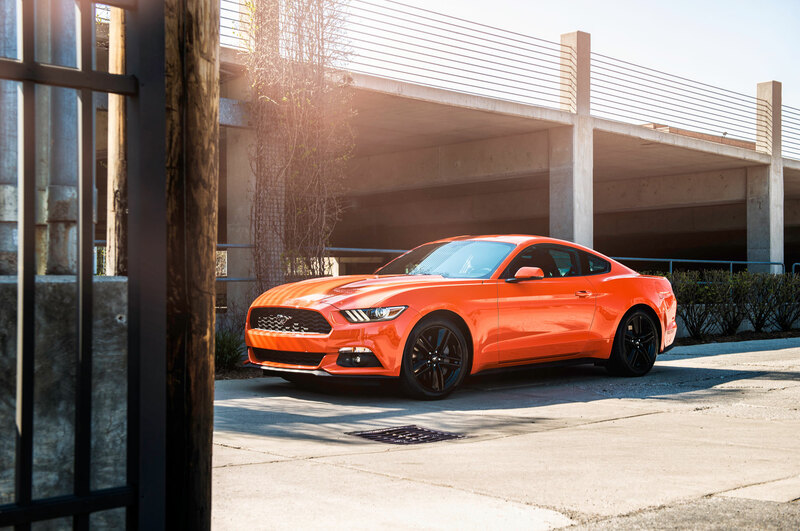 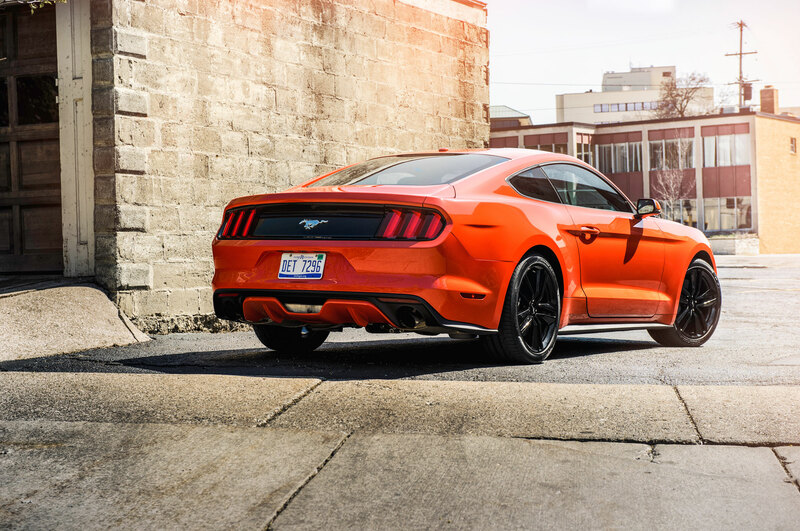 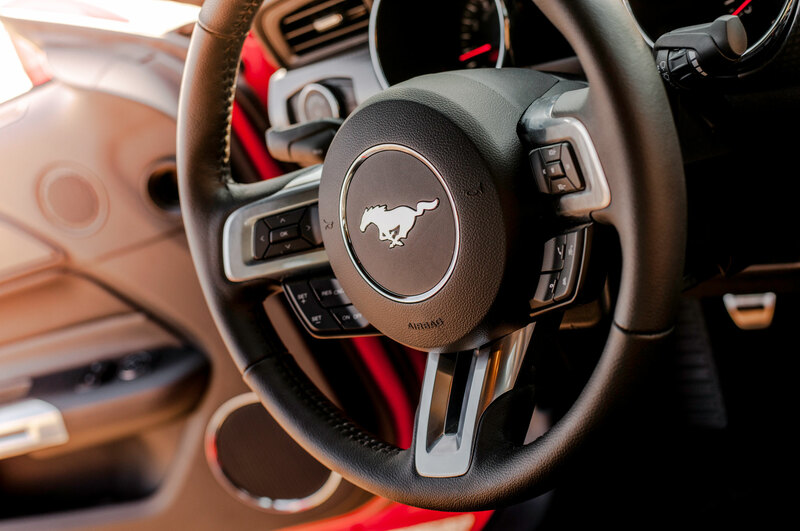 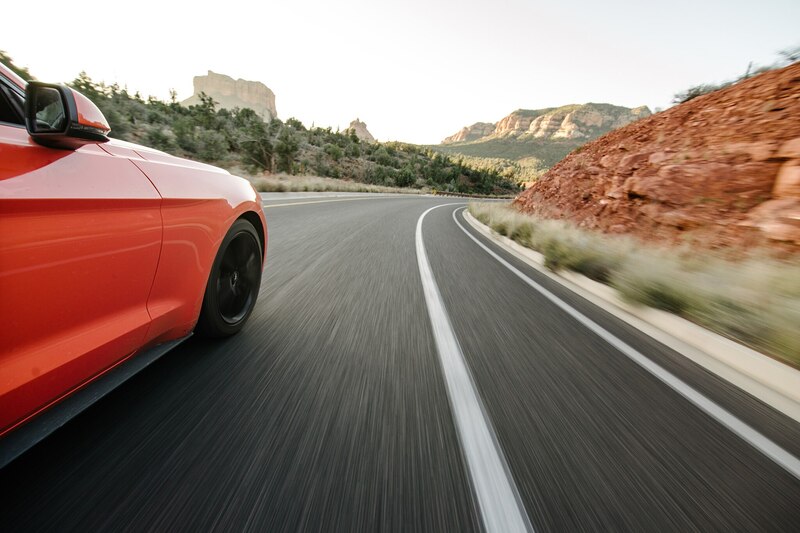 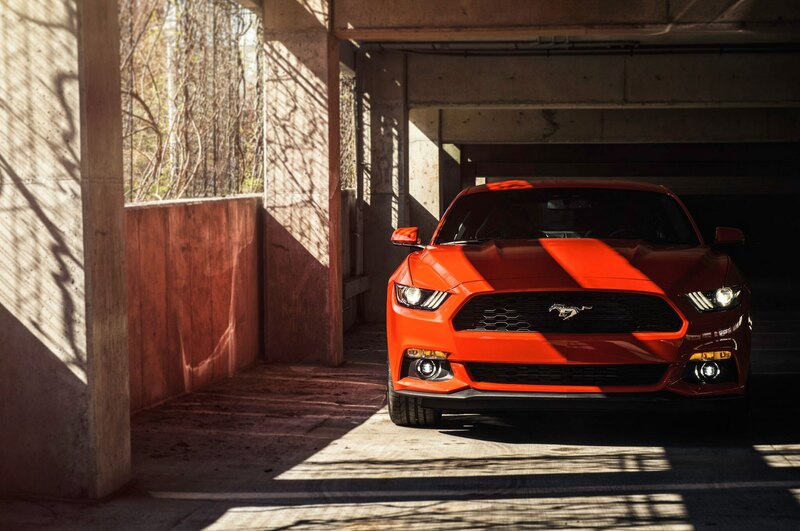 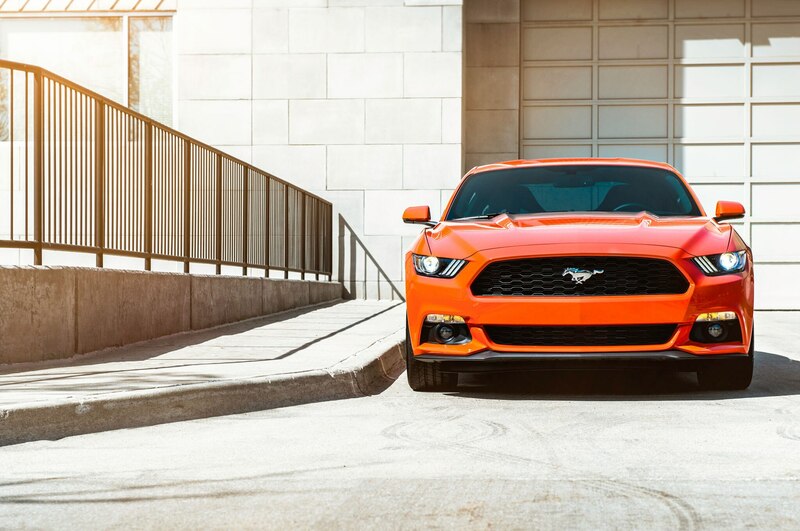 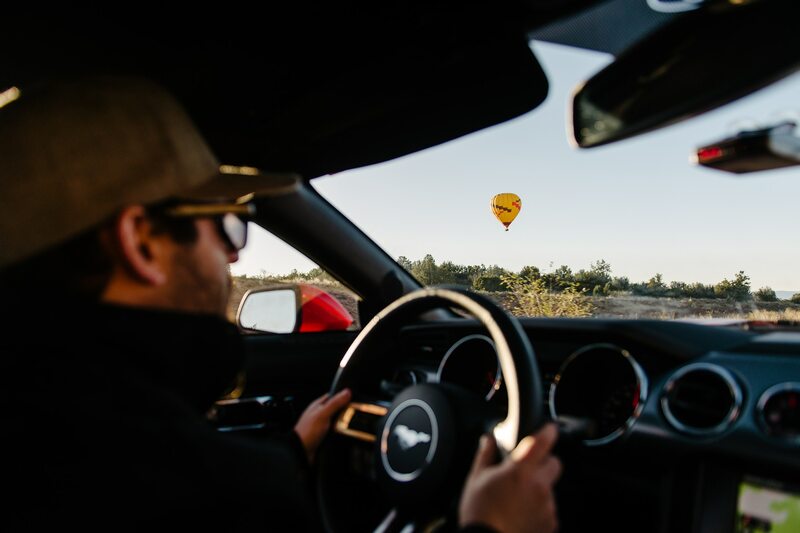 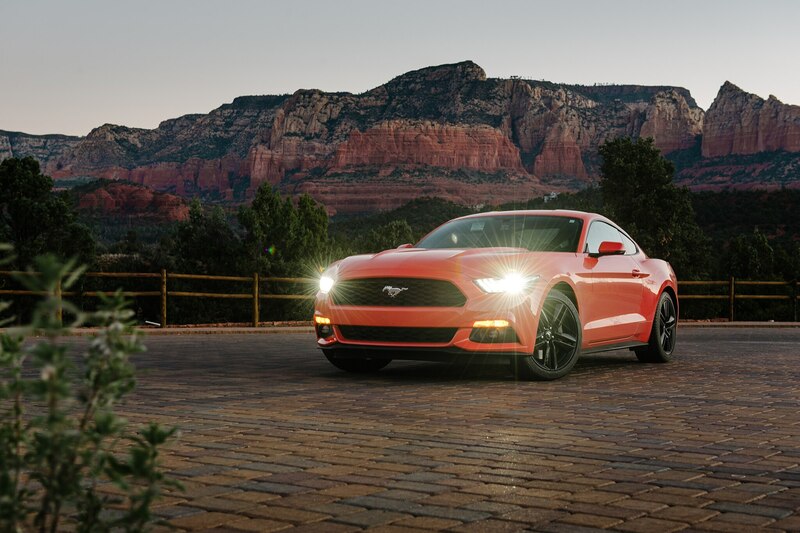 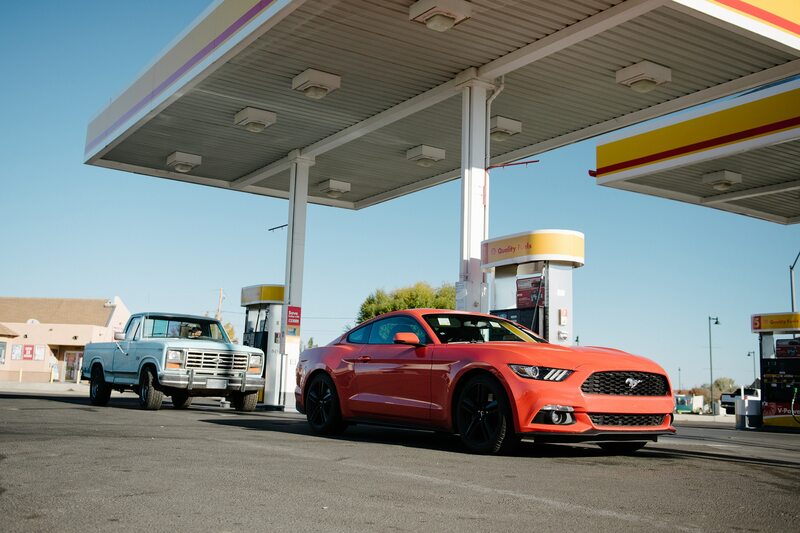 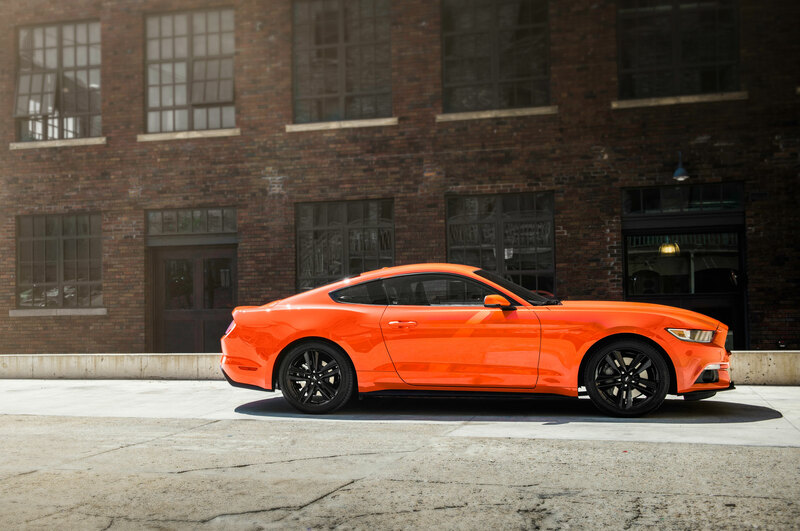 Even though the engine disappointed us at times, the EcoBoost Mustang proved itself to be a versatile and capable daily sports car that, with a few fixes, could hold a worthy place in Ford’s stable.